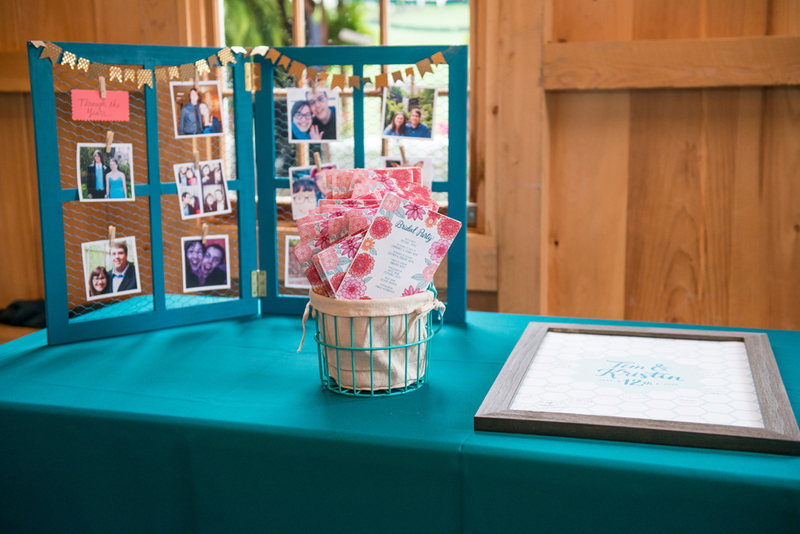 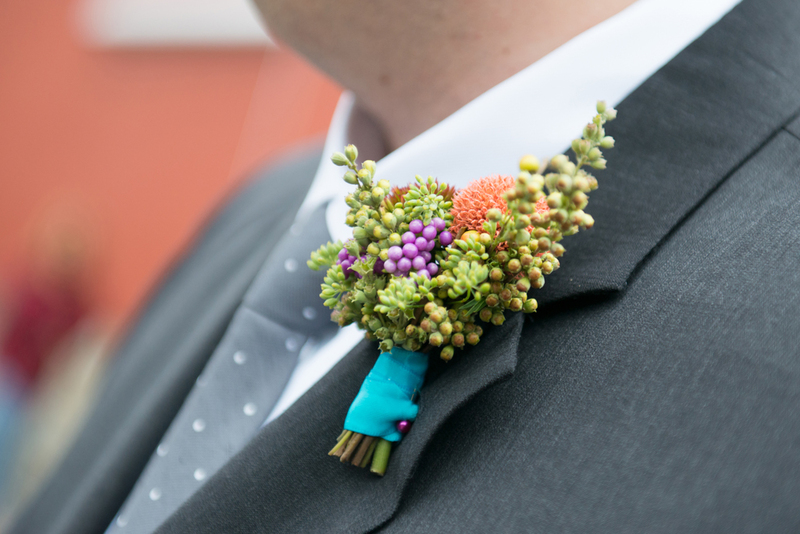 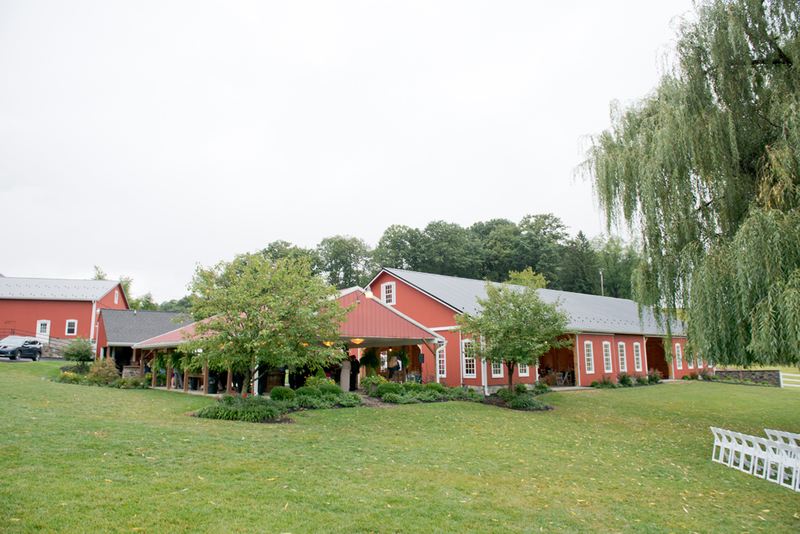 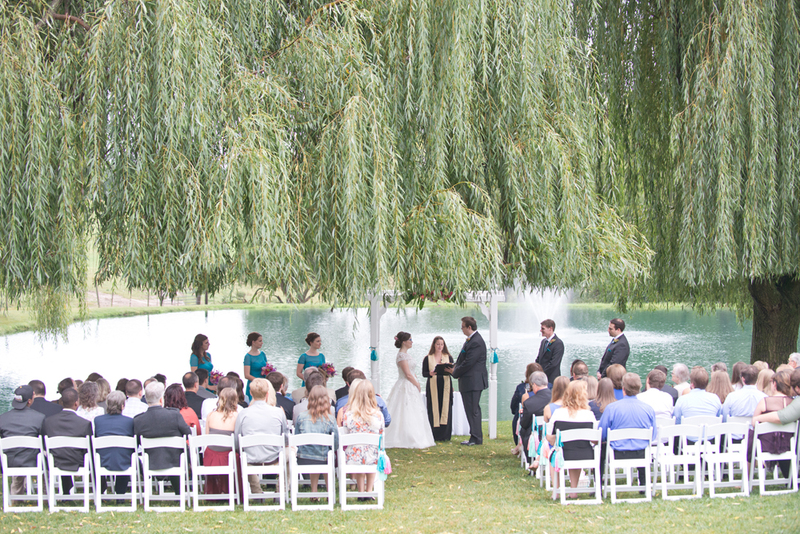 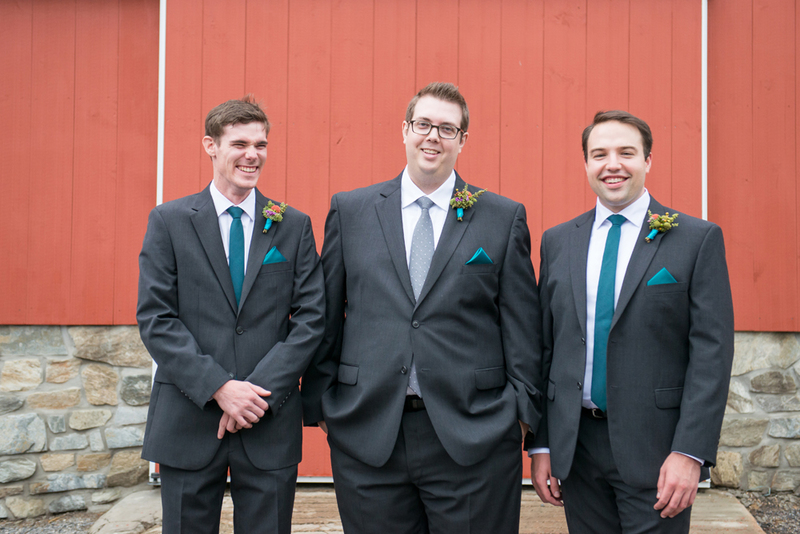 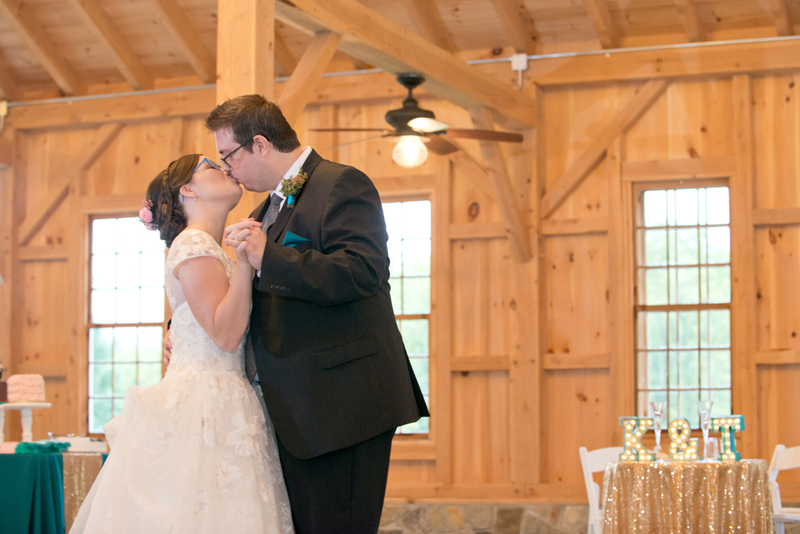 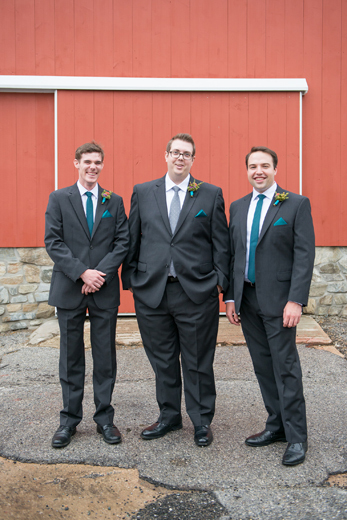 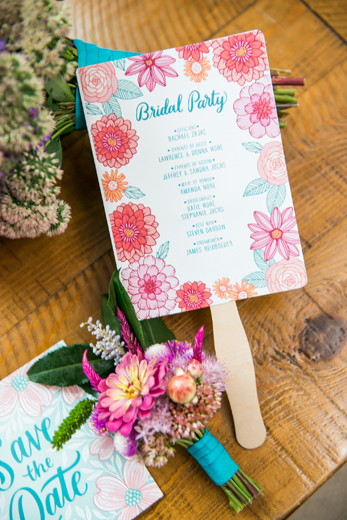 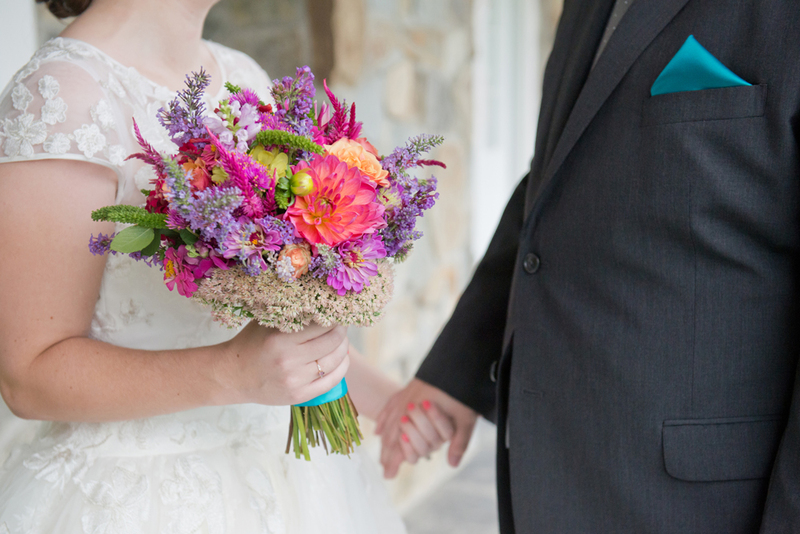 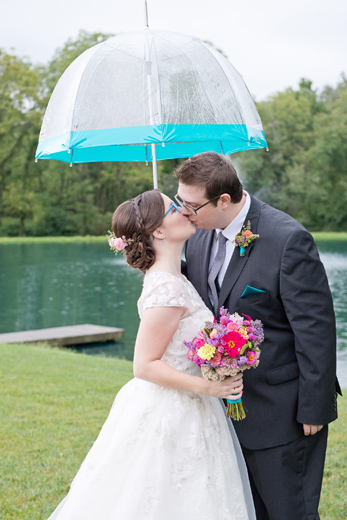 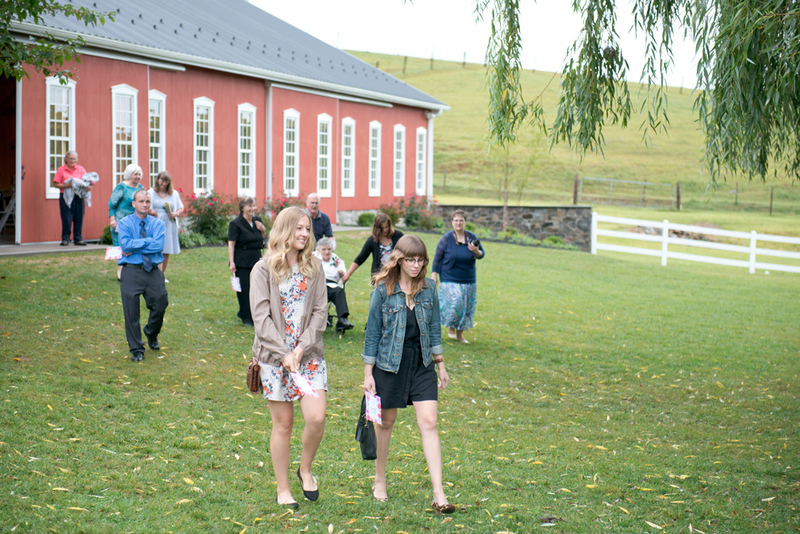 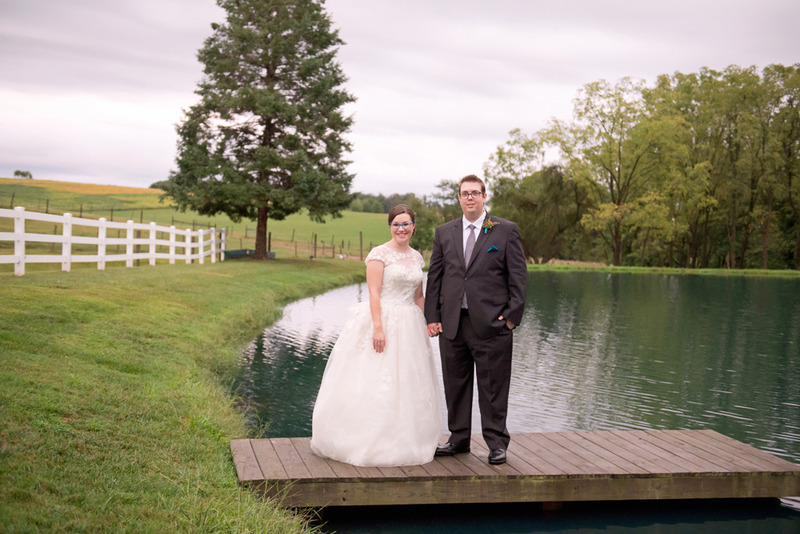 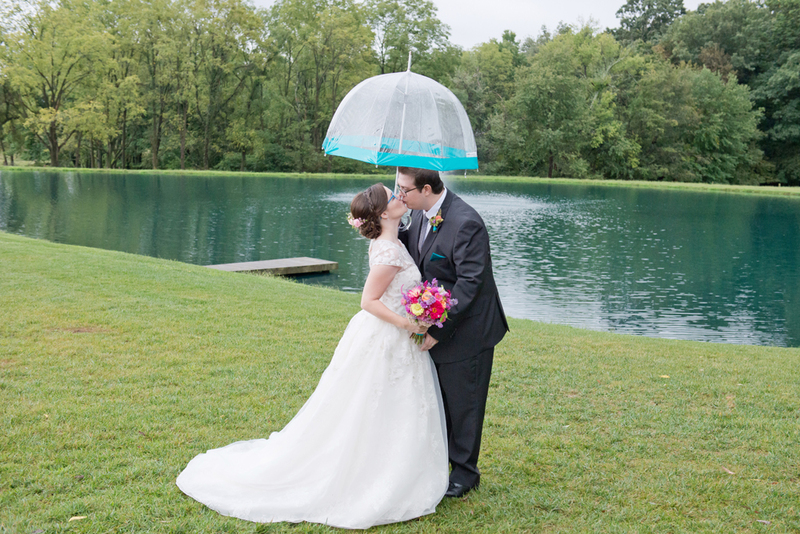 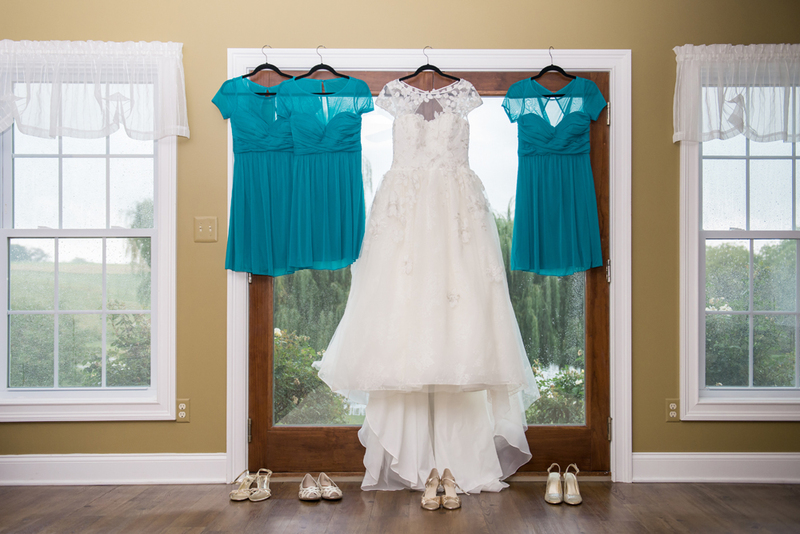 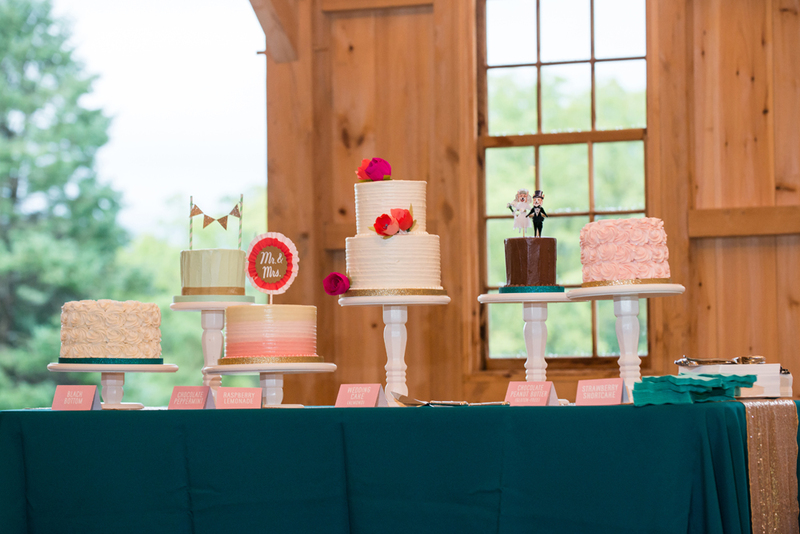 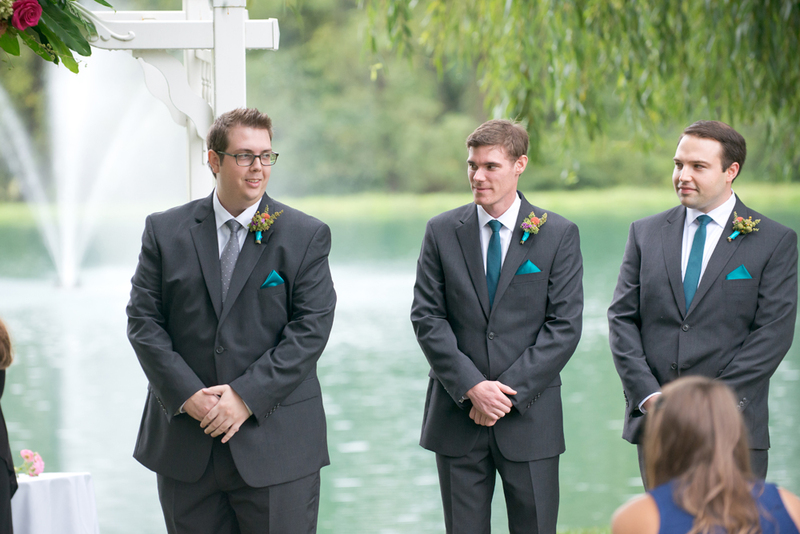 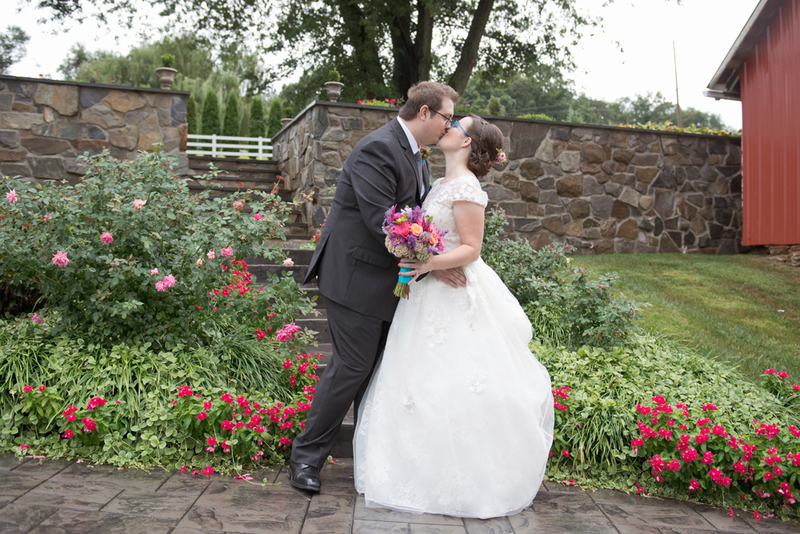 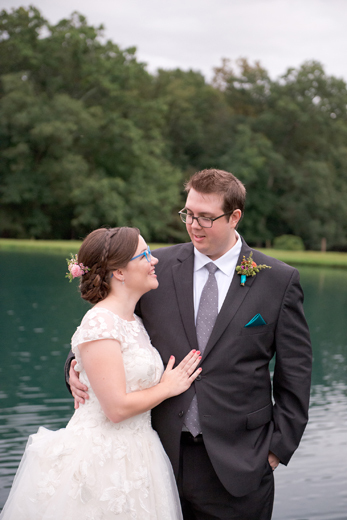 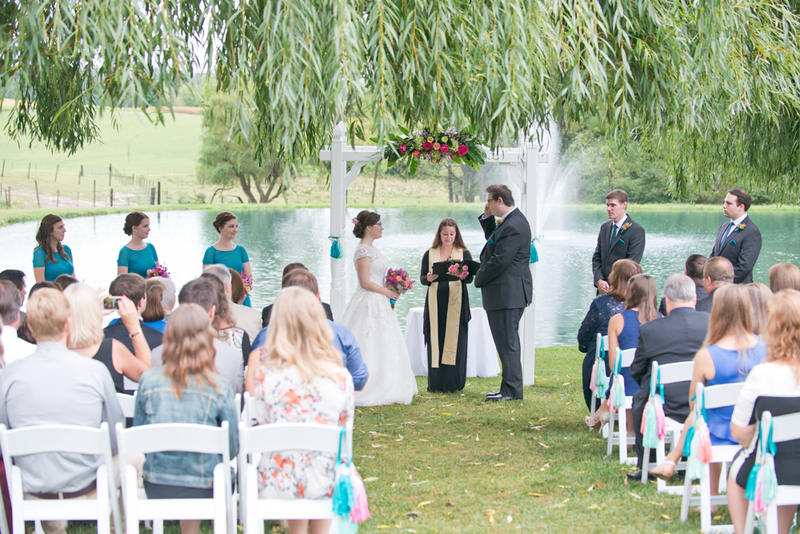 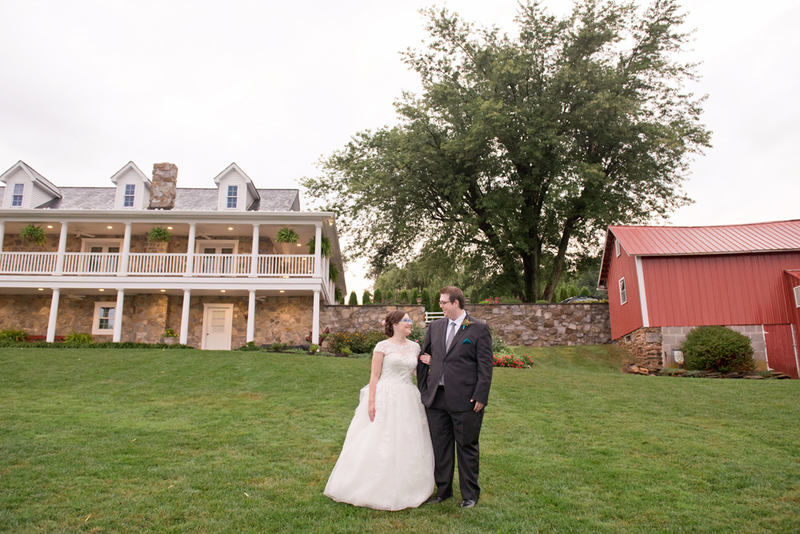 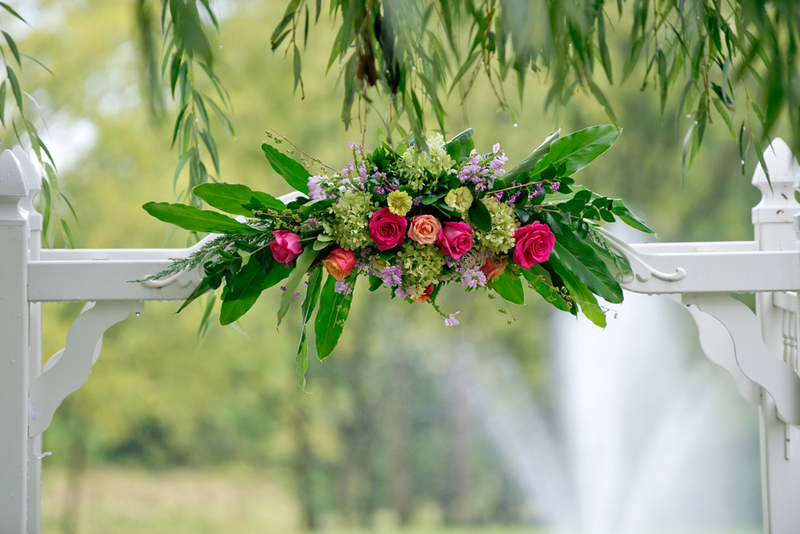 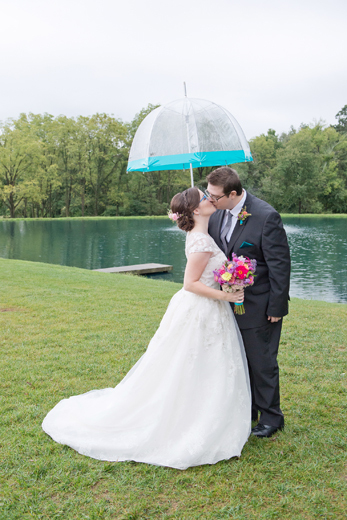 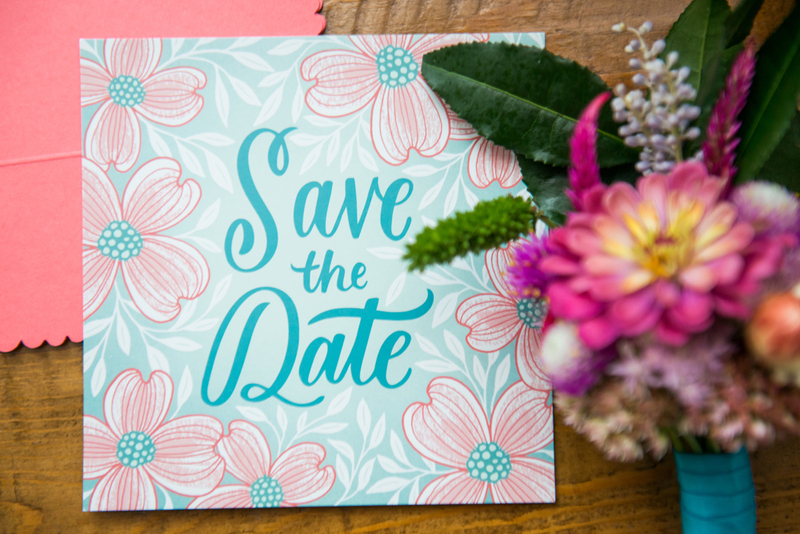 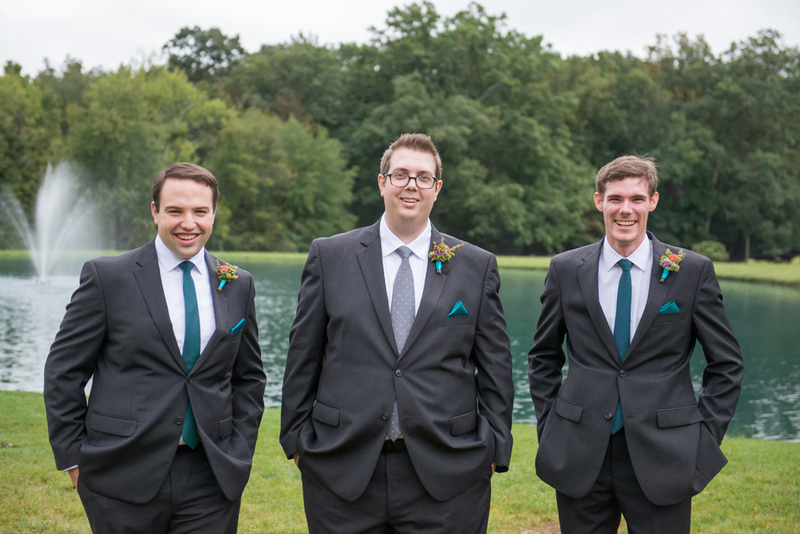 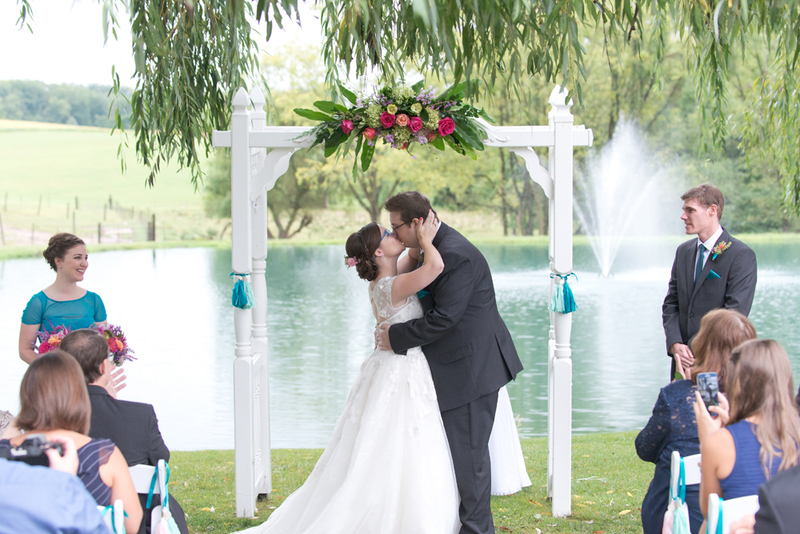 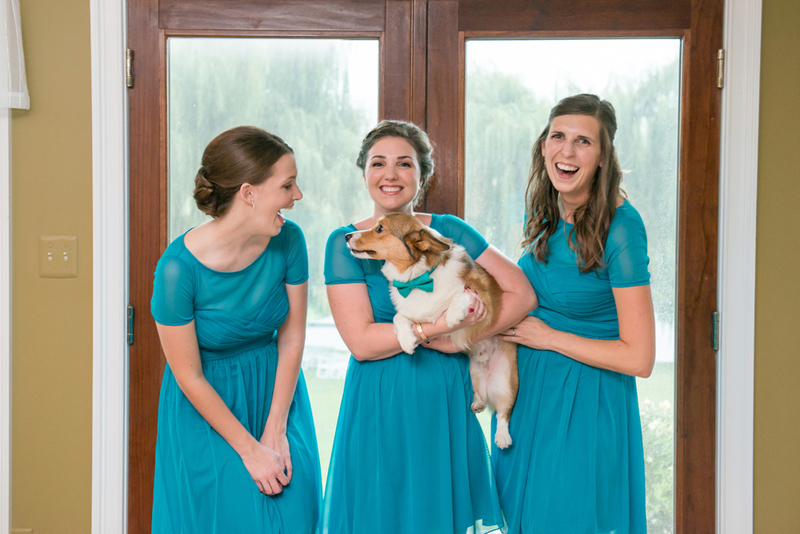 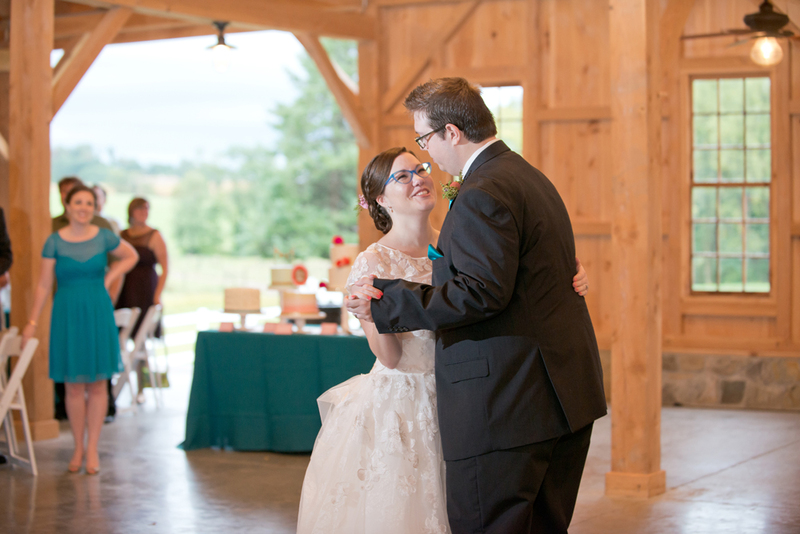 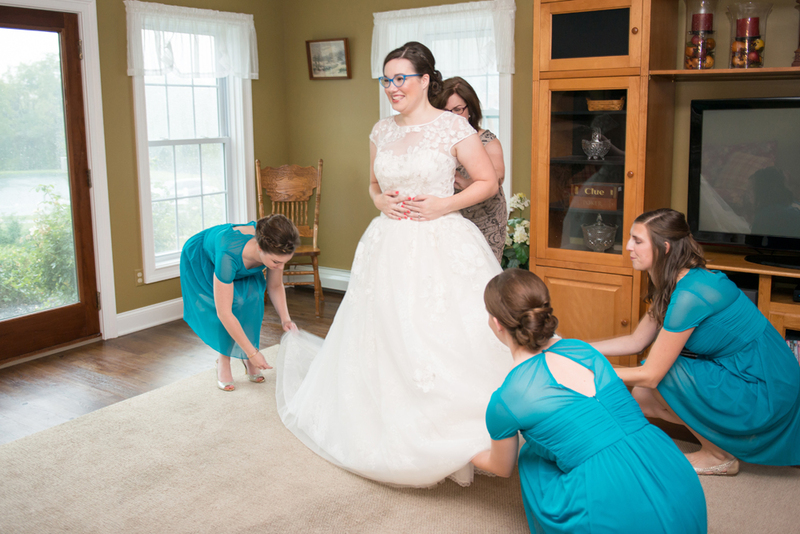 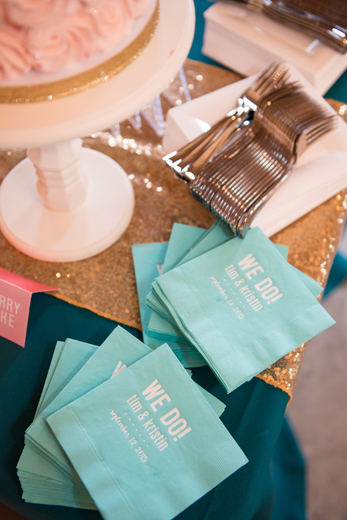 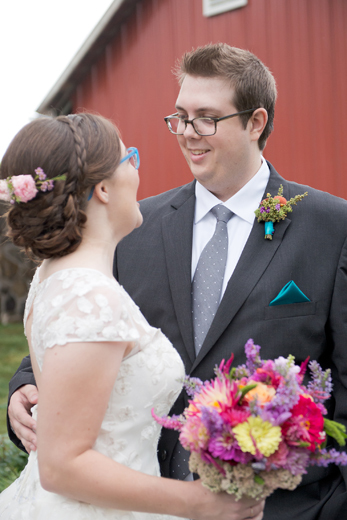 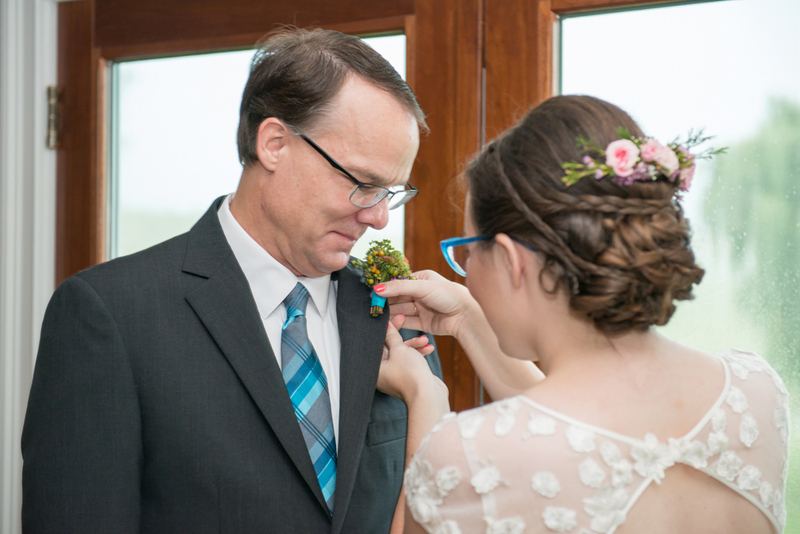 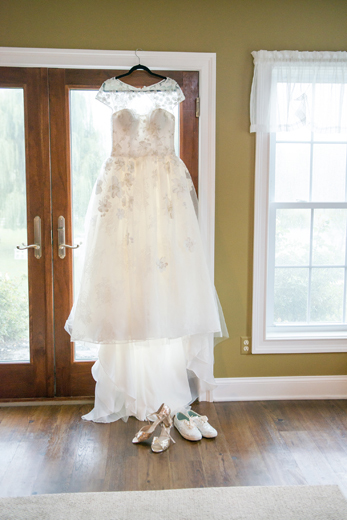 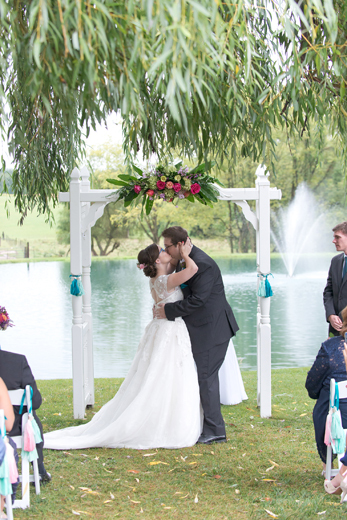 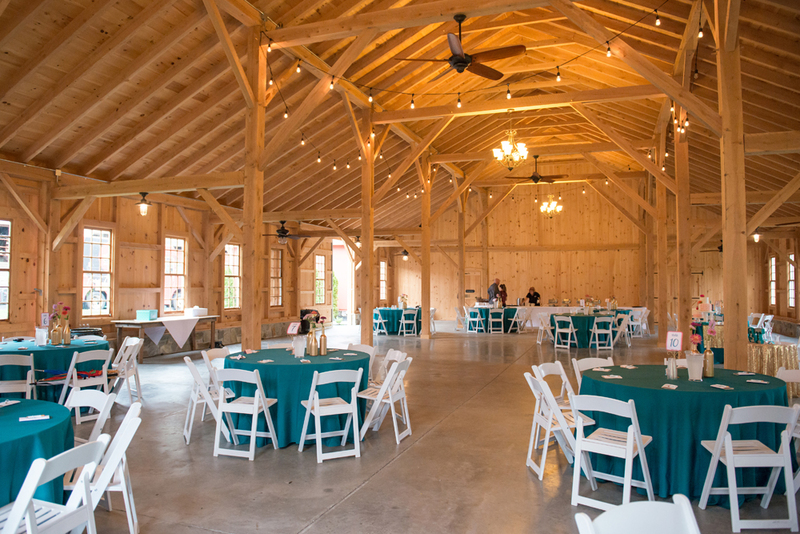 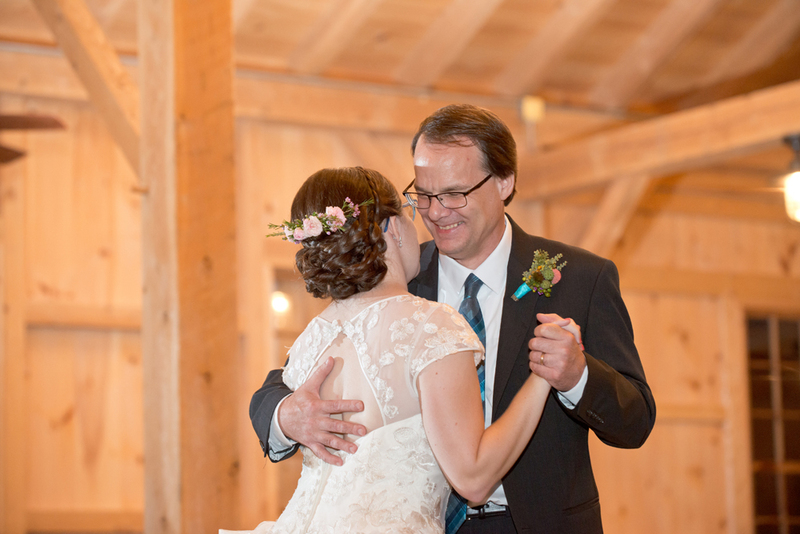 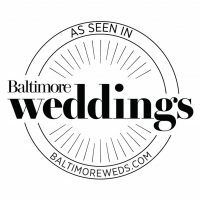 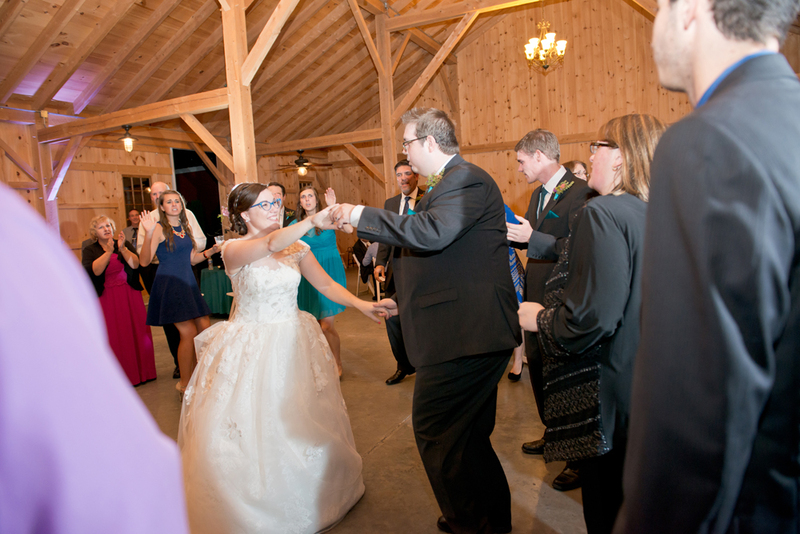 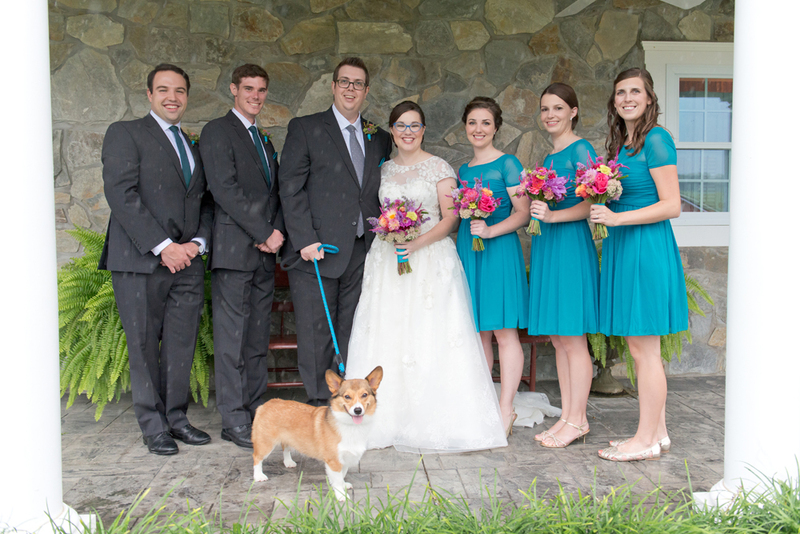 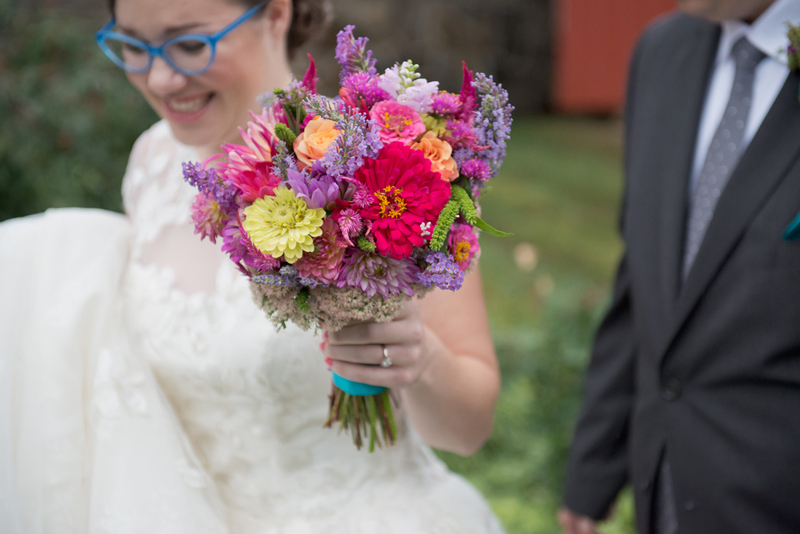 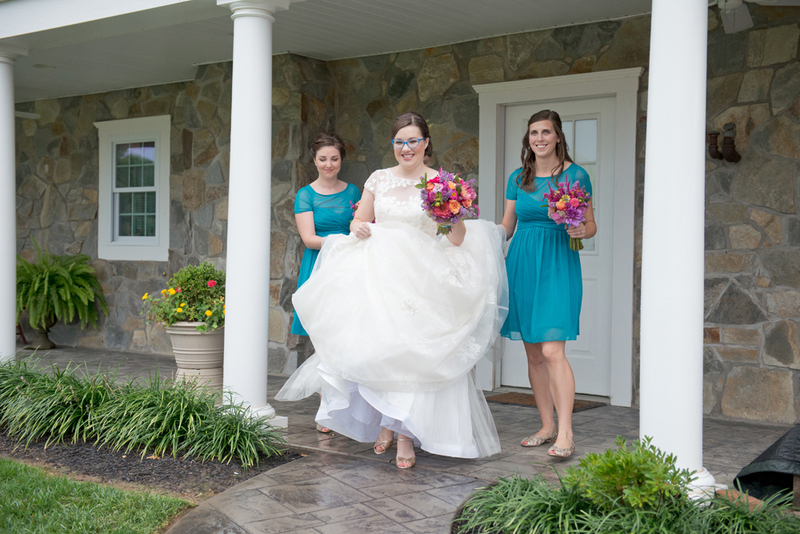 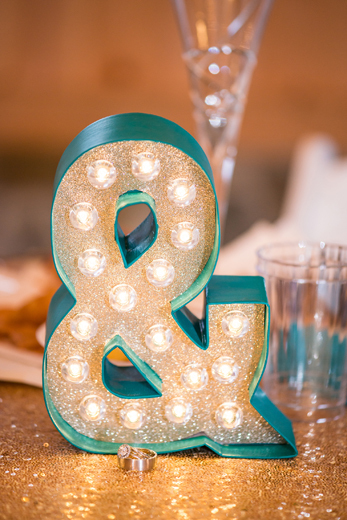 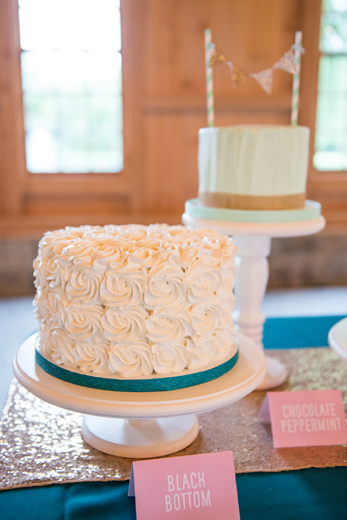 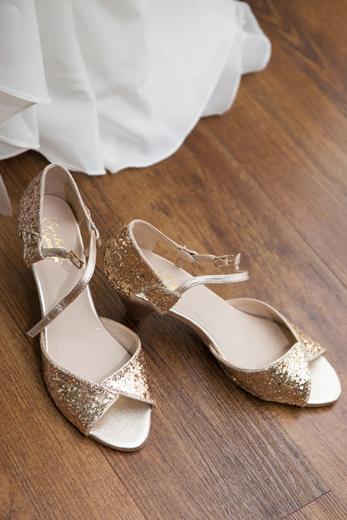 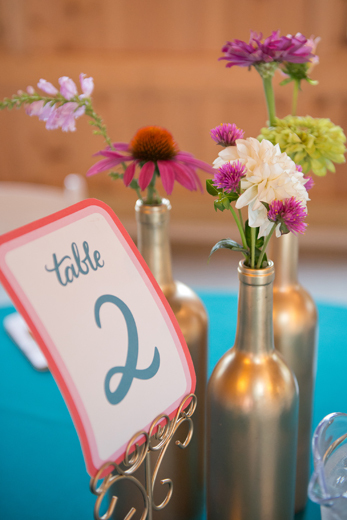 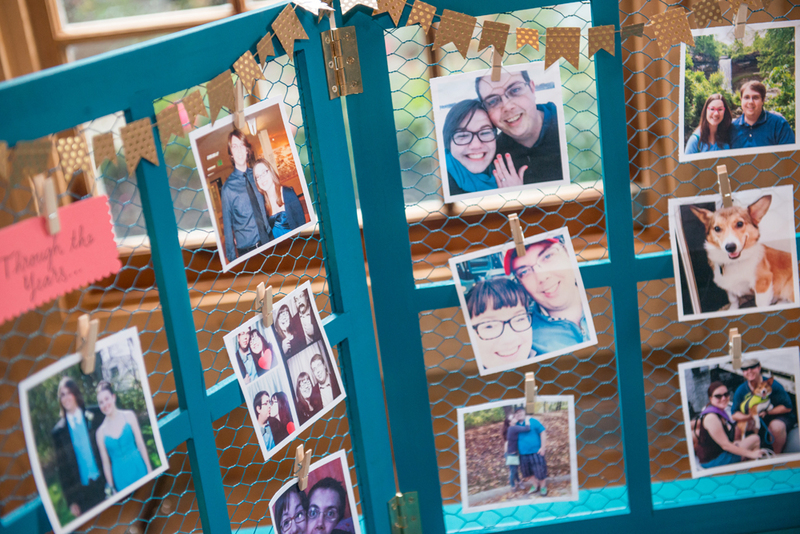 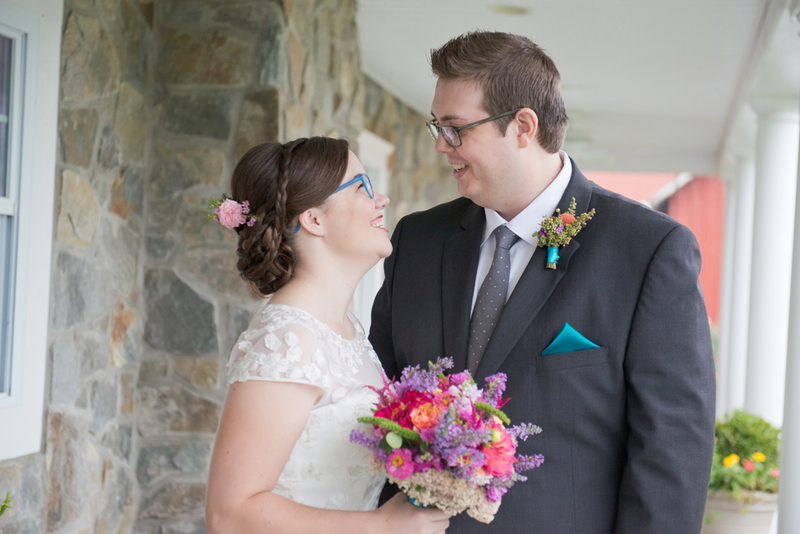 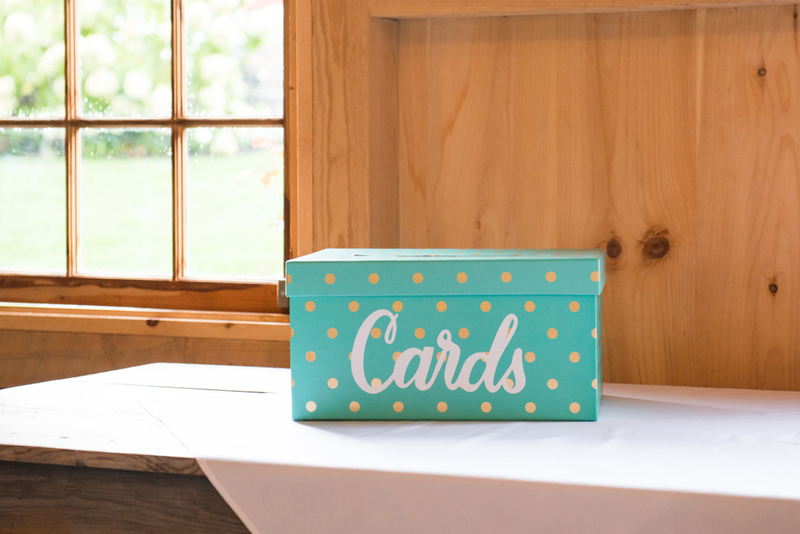 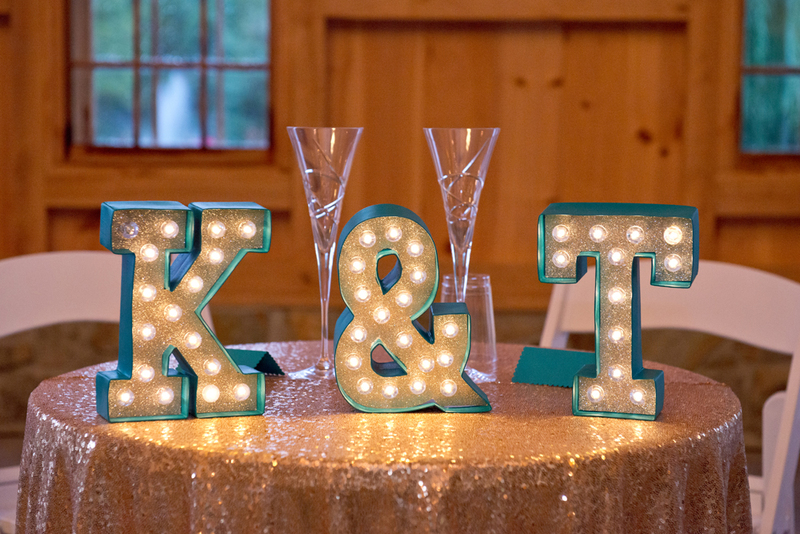 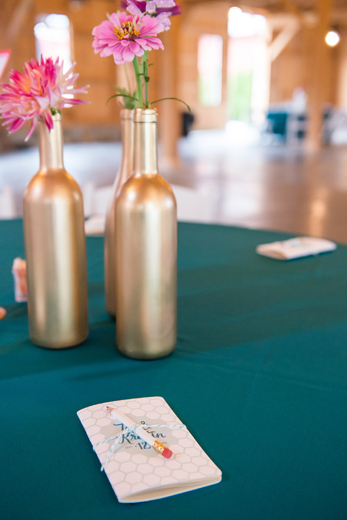 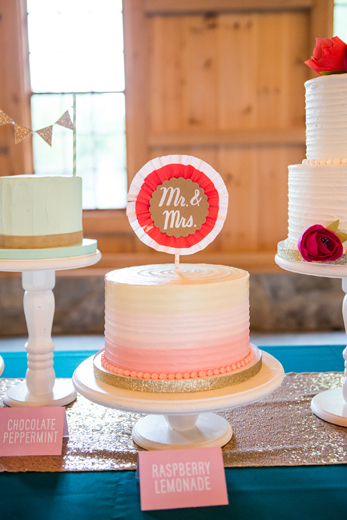 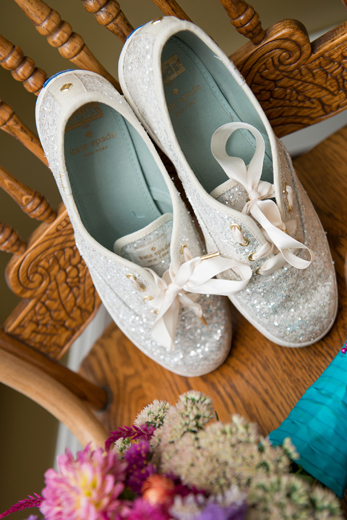 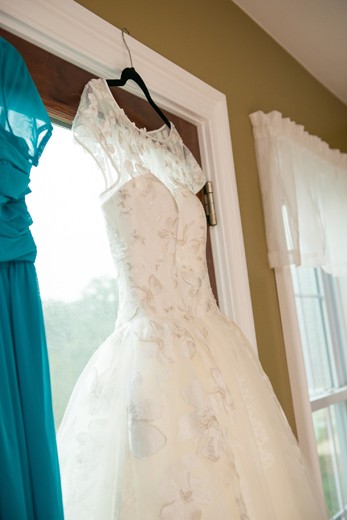 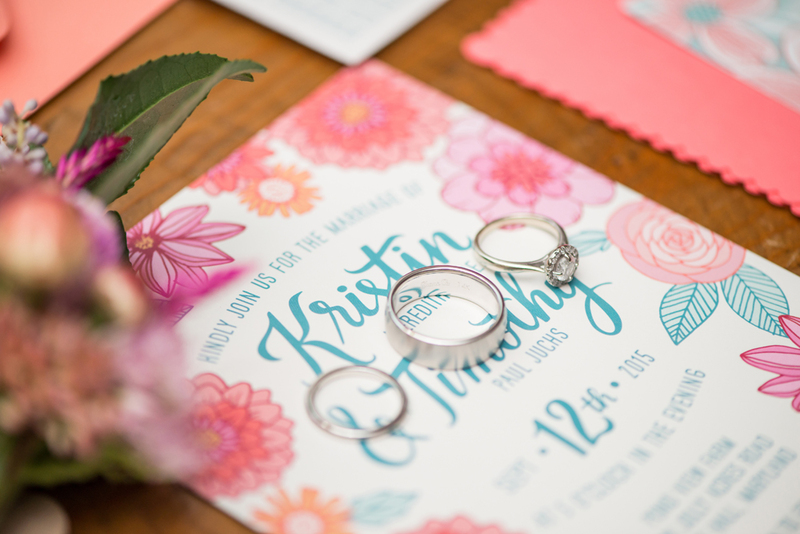 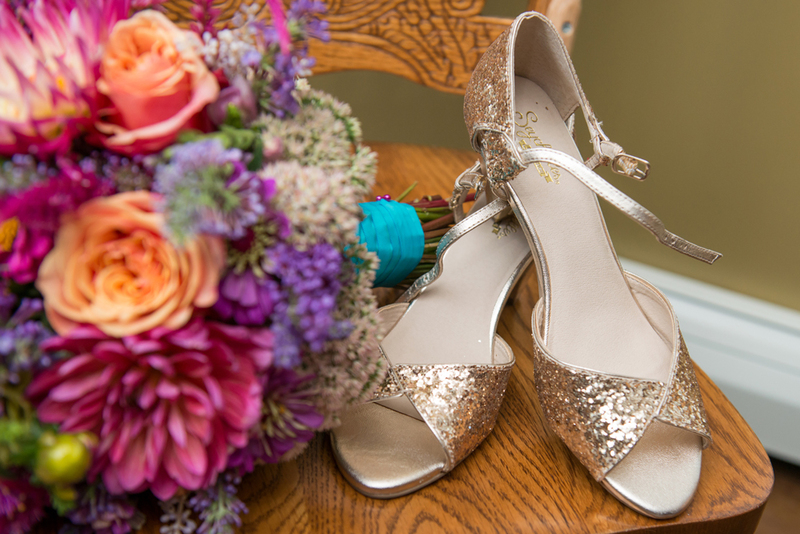 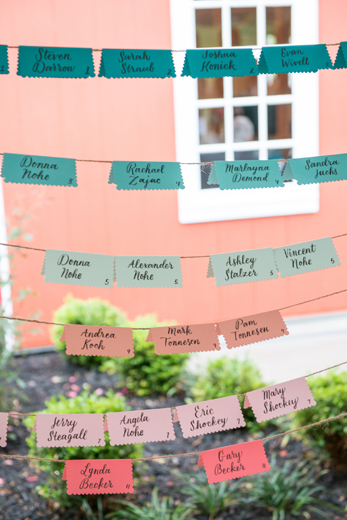 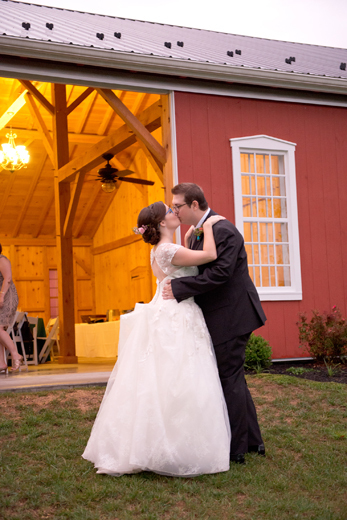 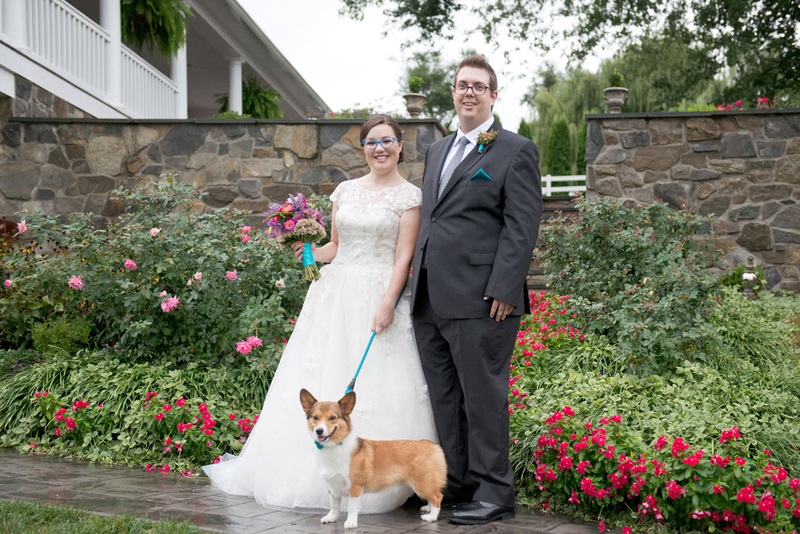 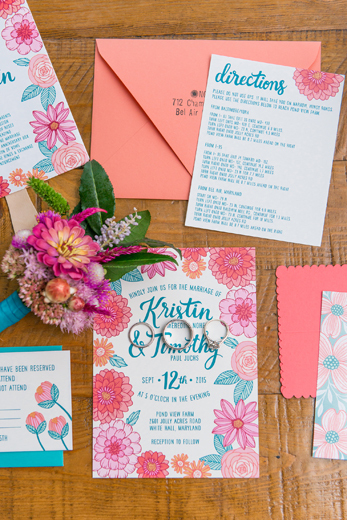 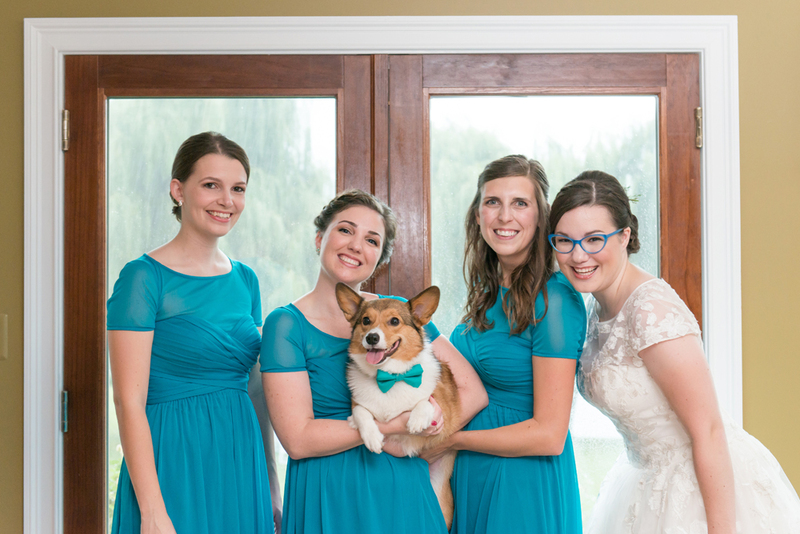 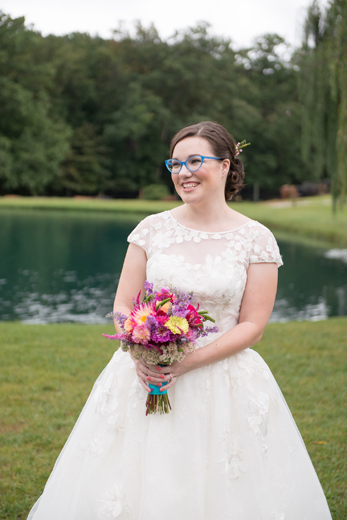 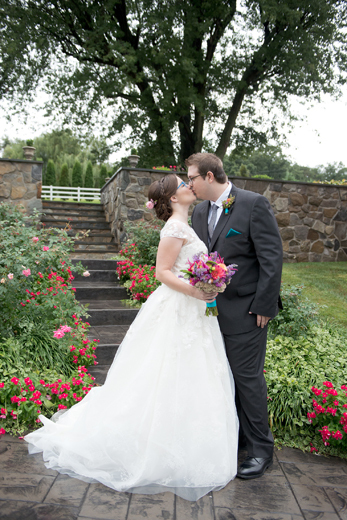 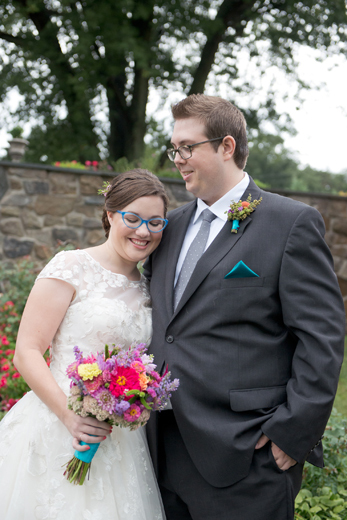 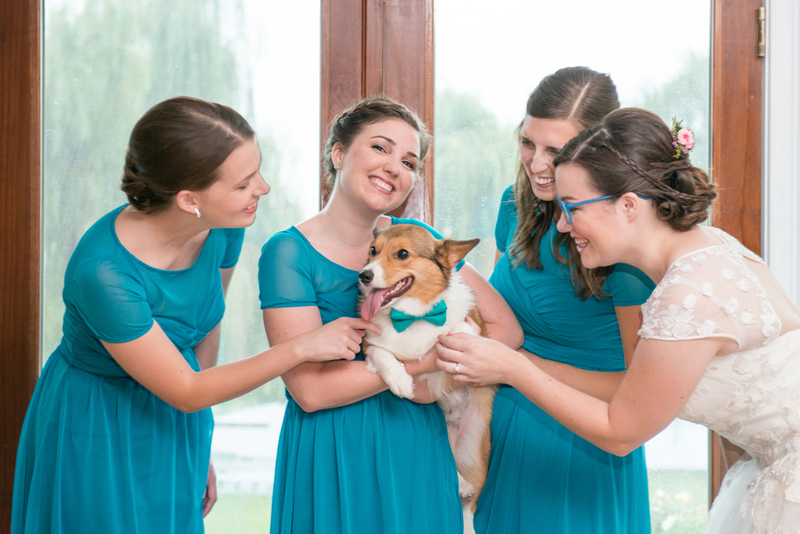 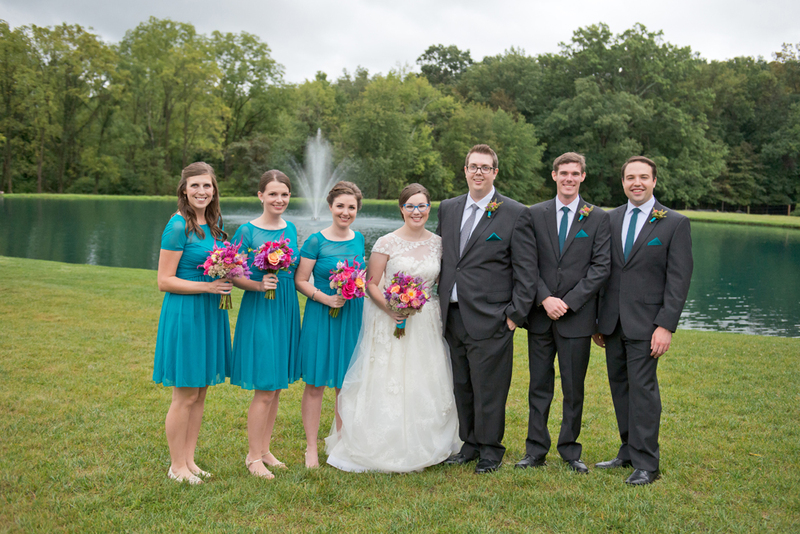 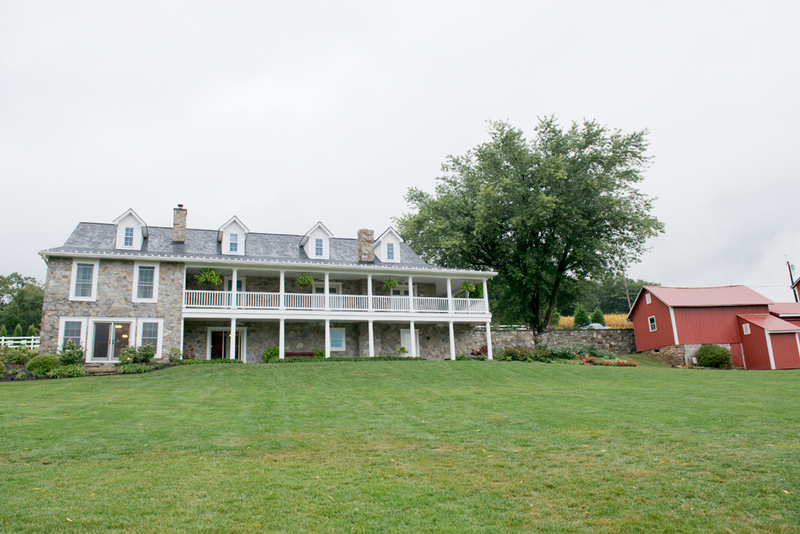 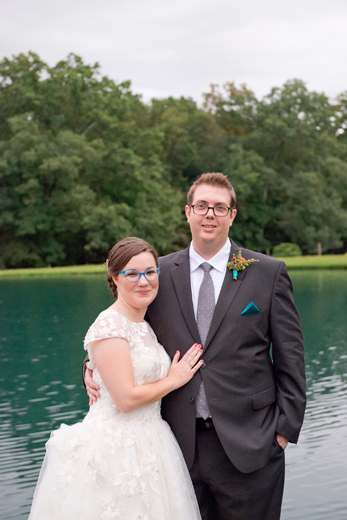 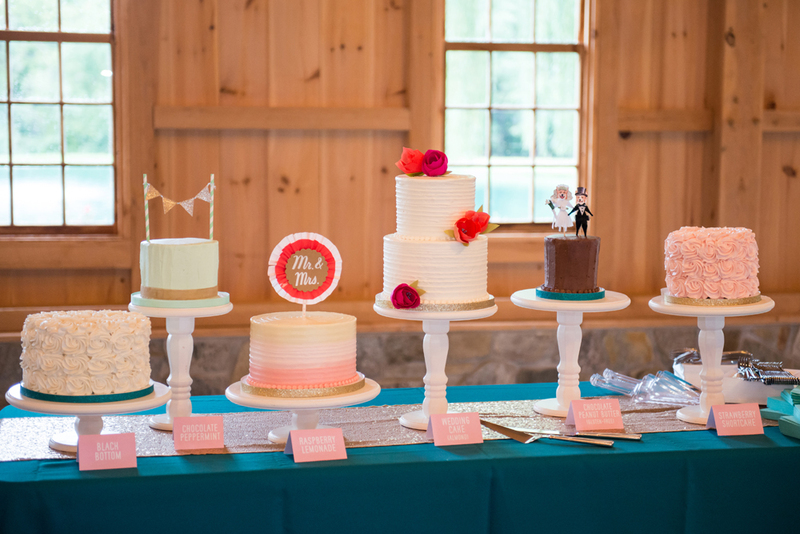 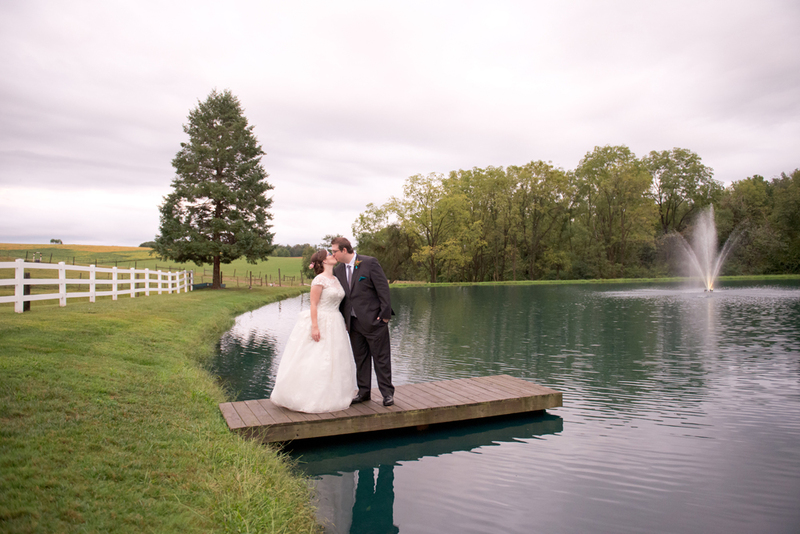 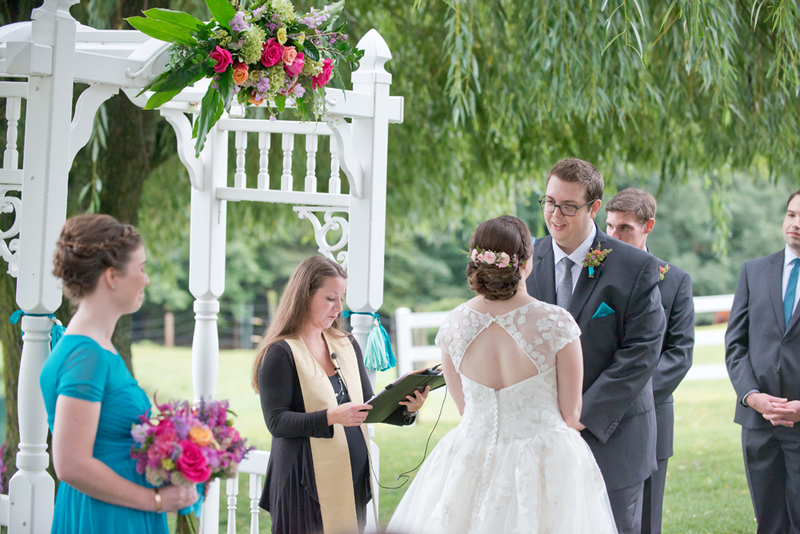 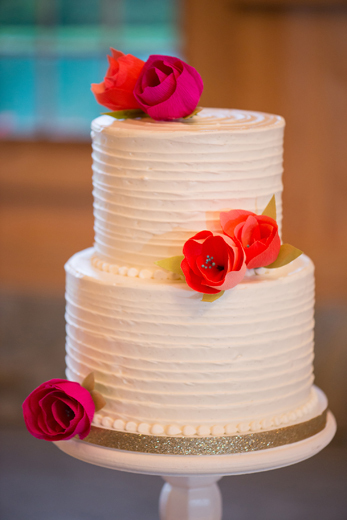 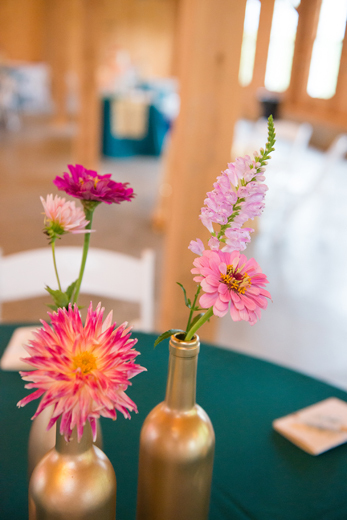 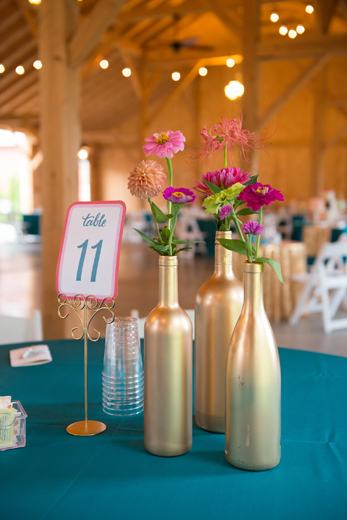 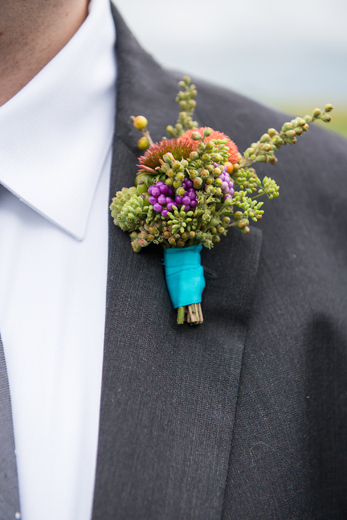 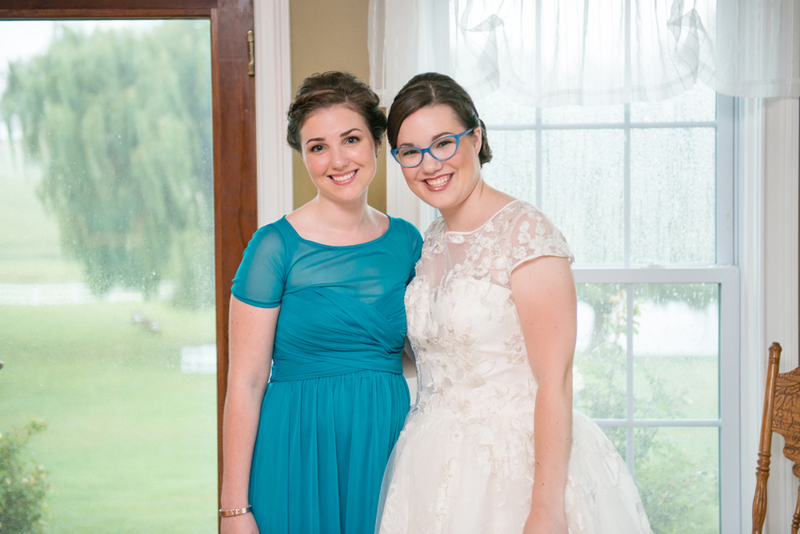 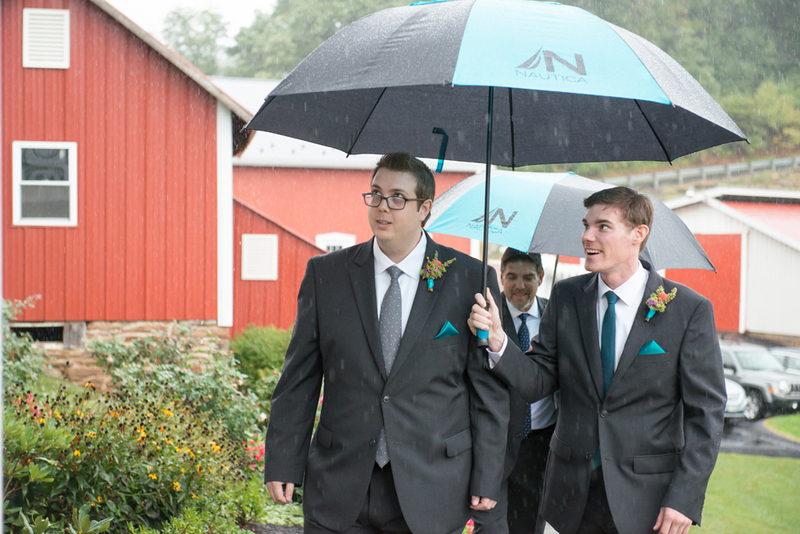 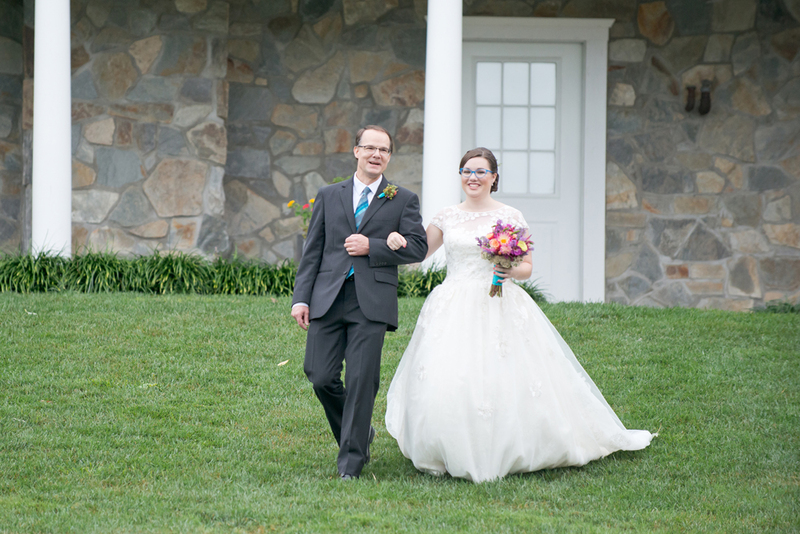 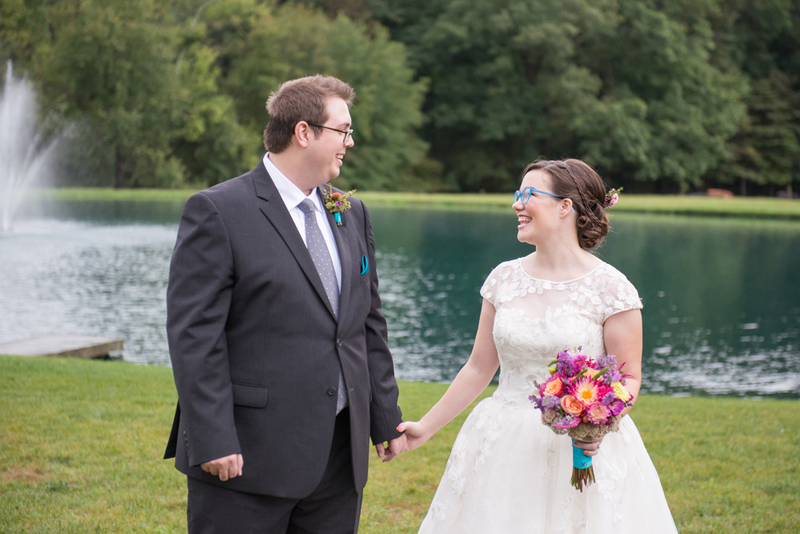 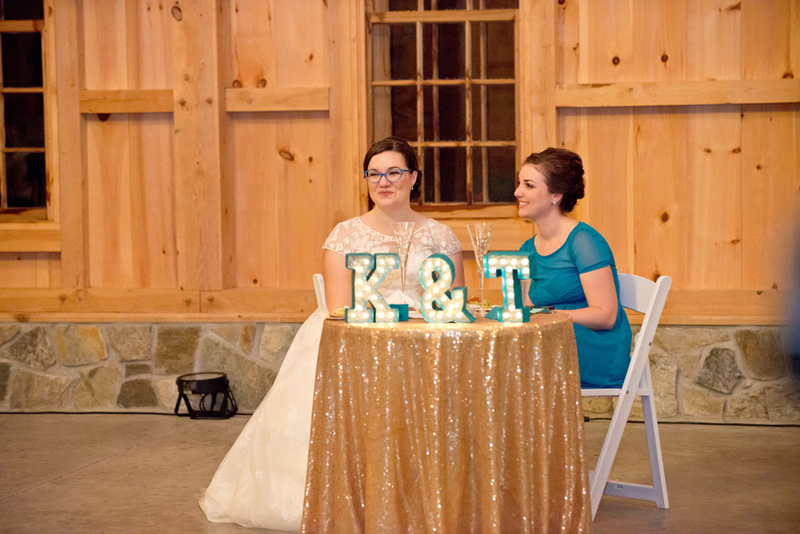 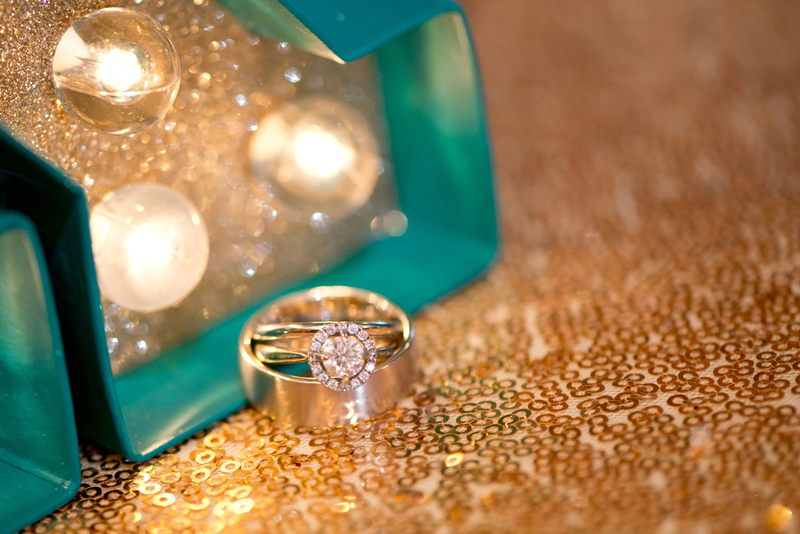 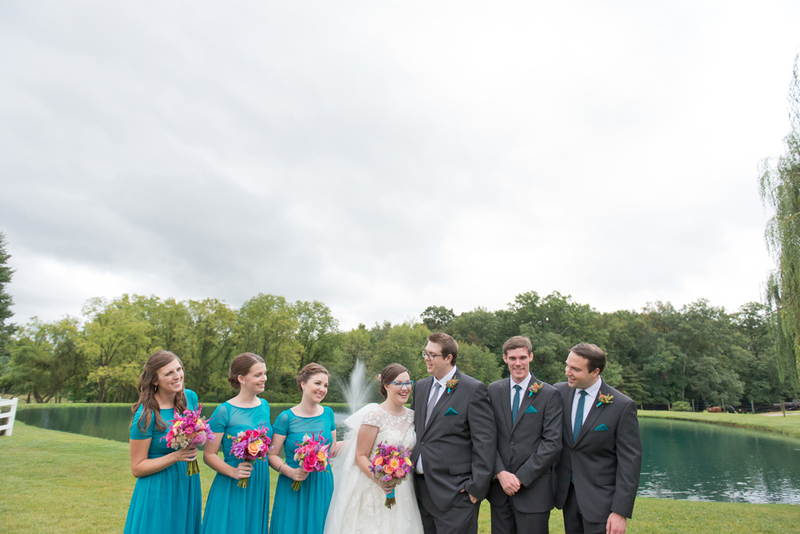 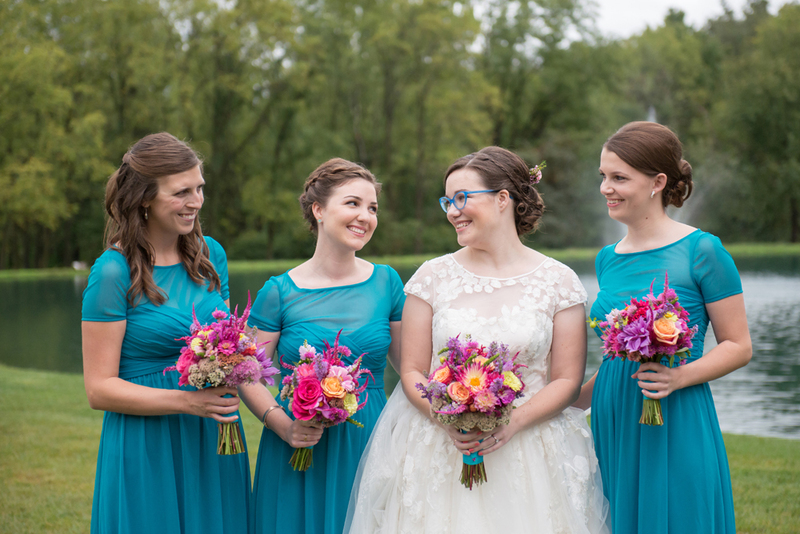 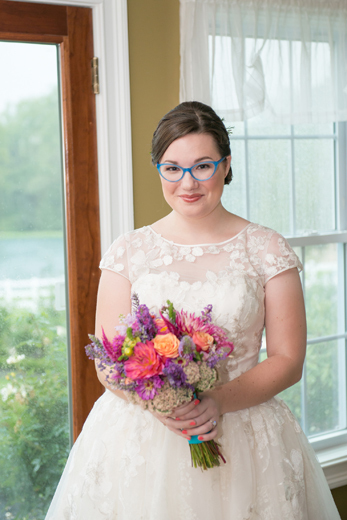 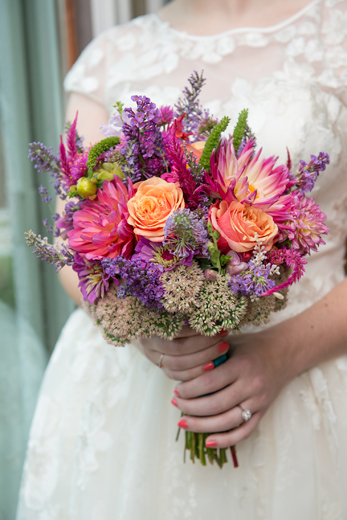 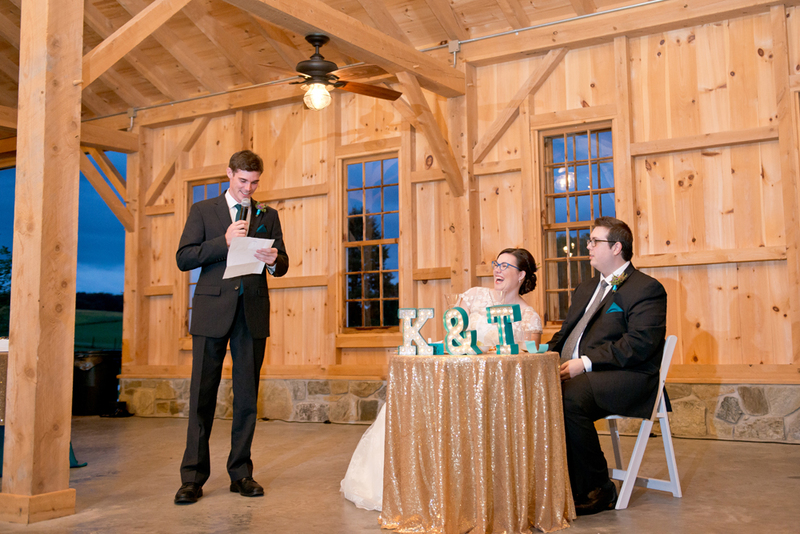 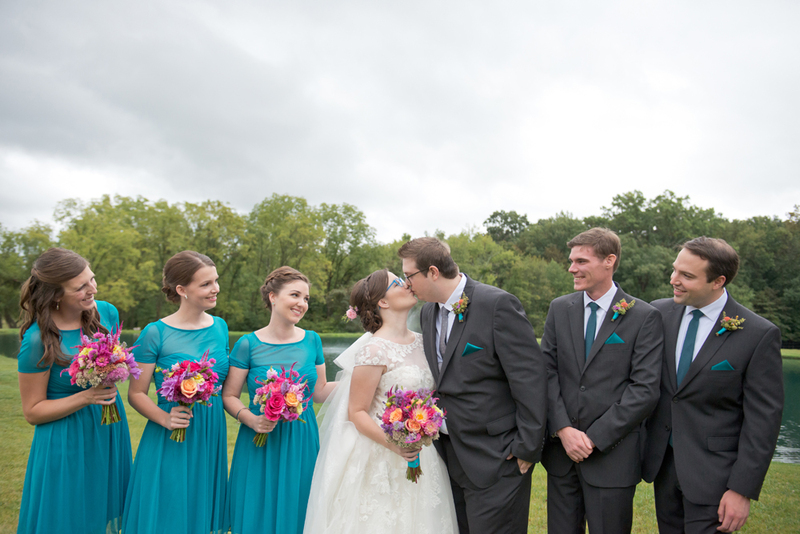 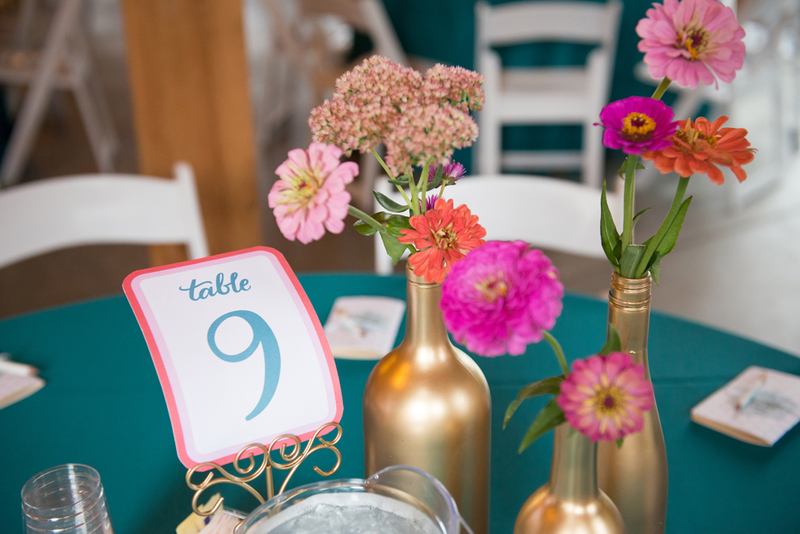 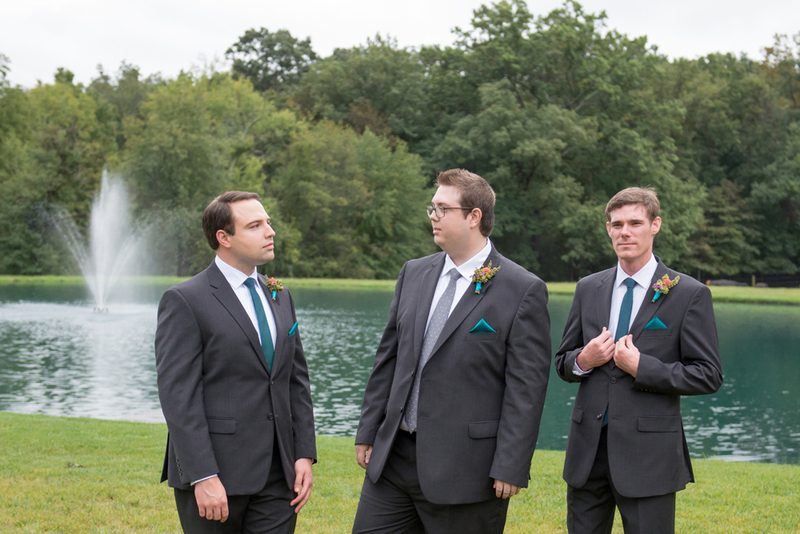 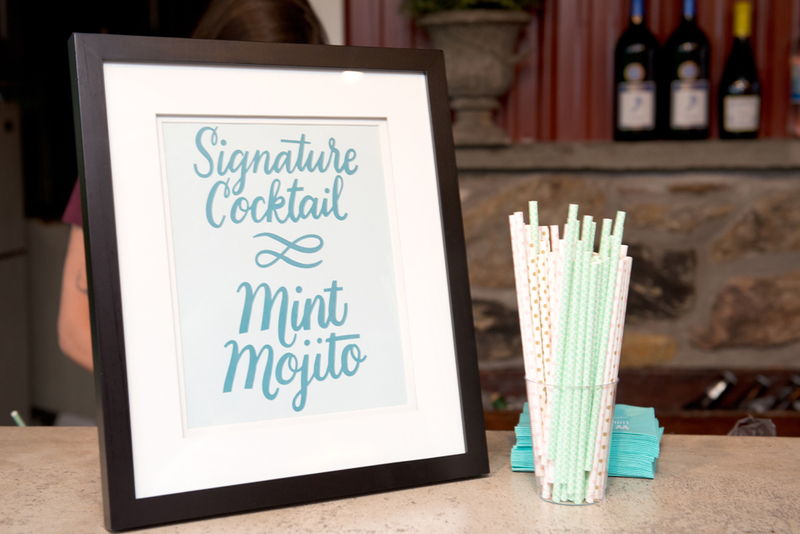 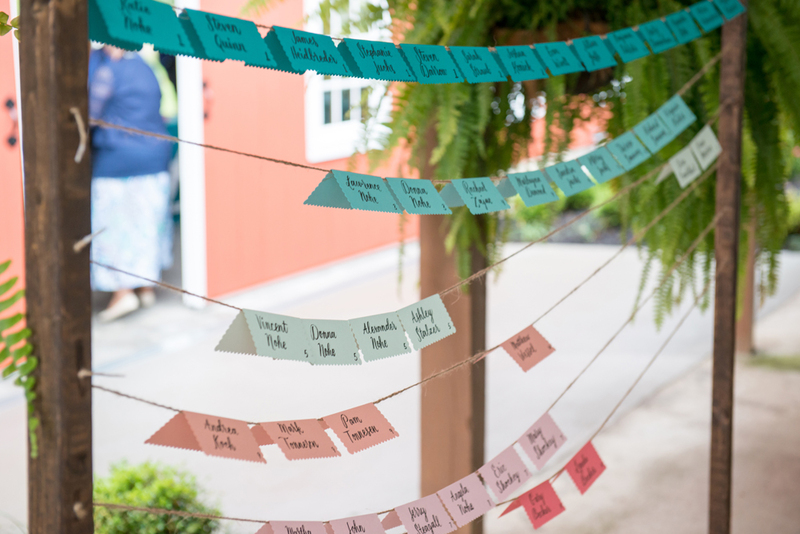 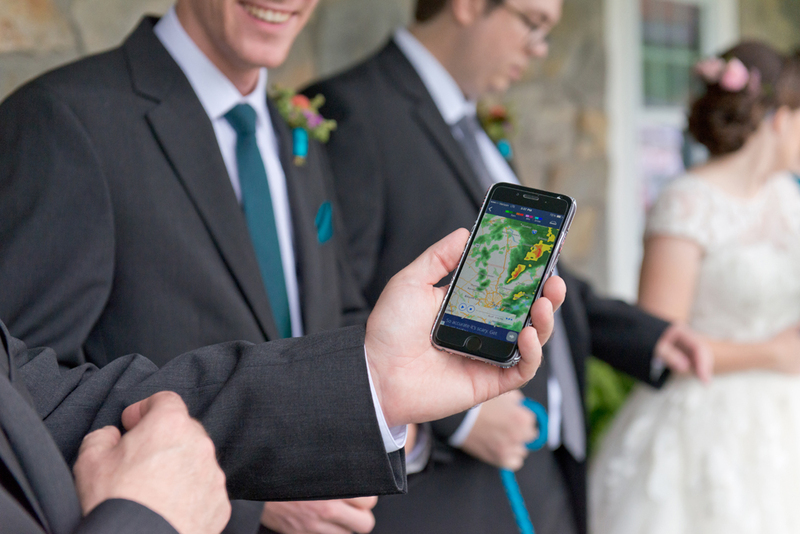 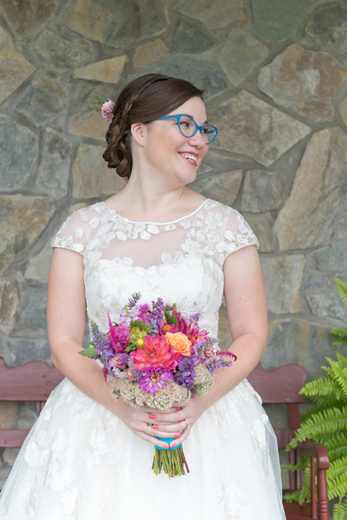 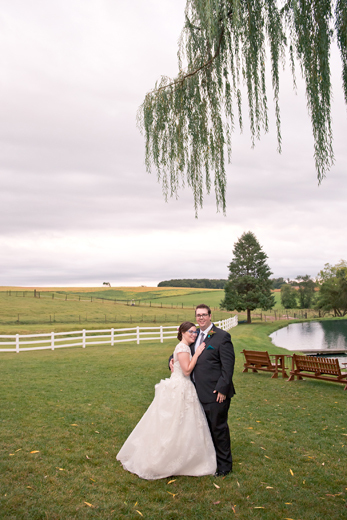 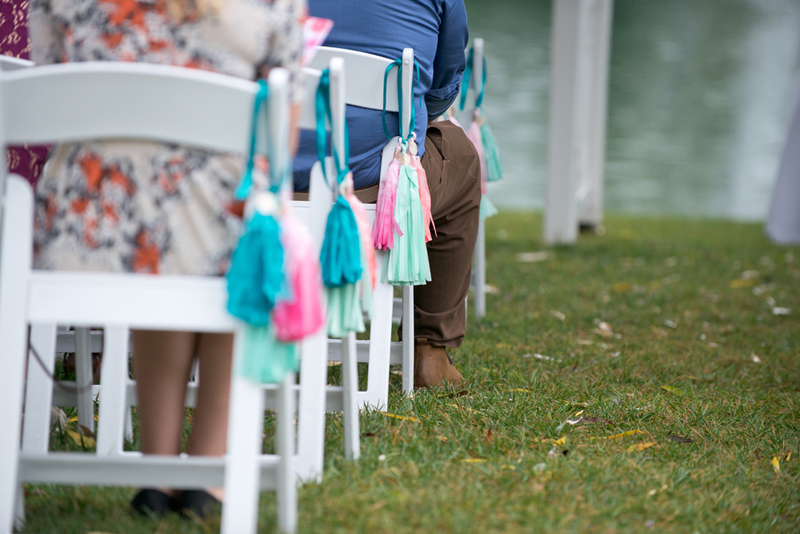 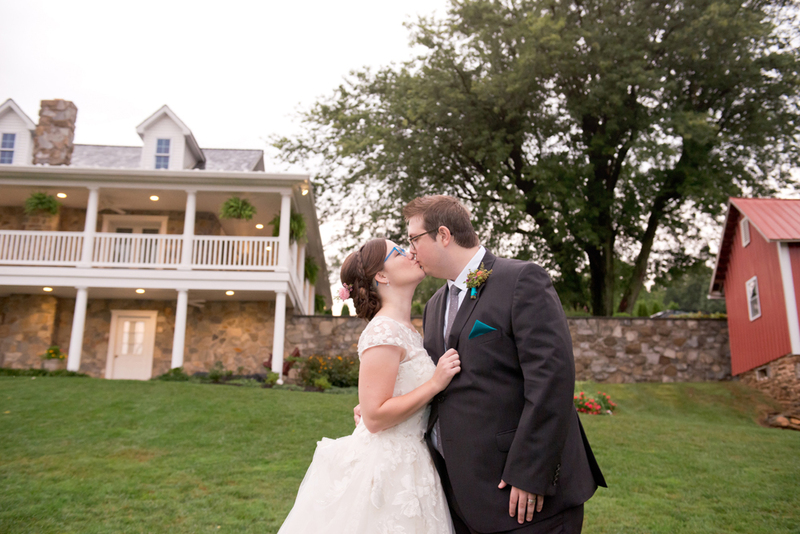 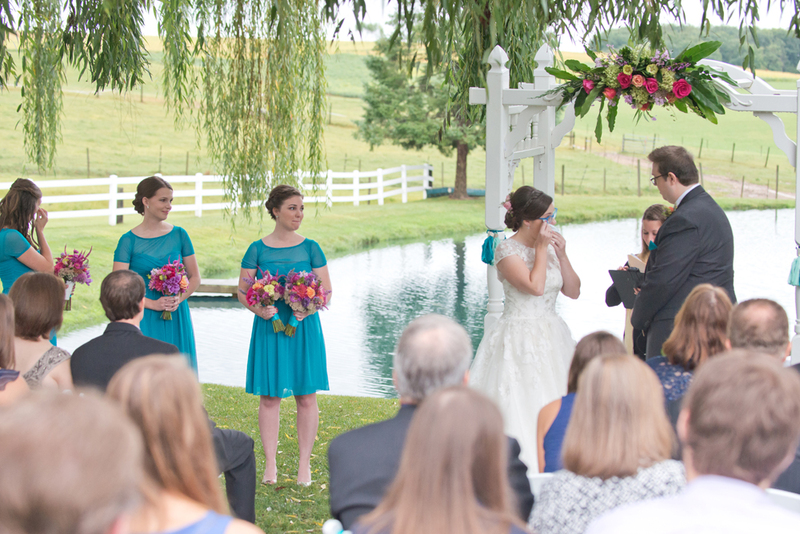 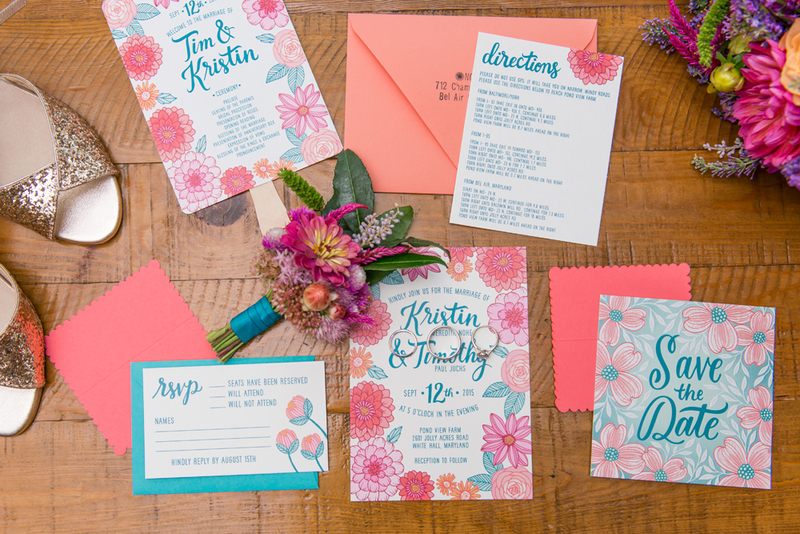 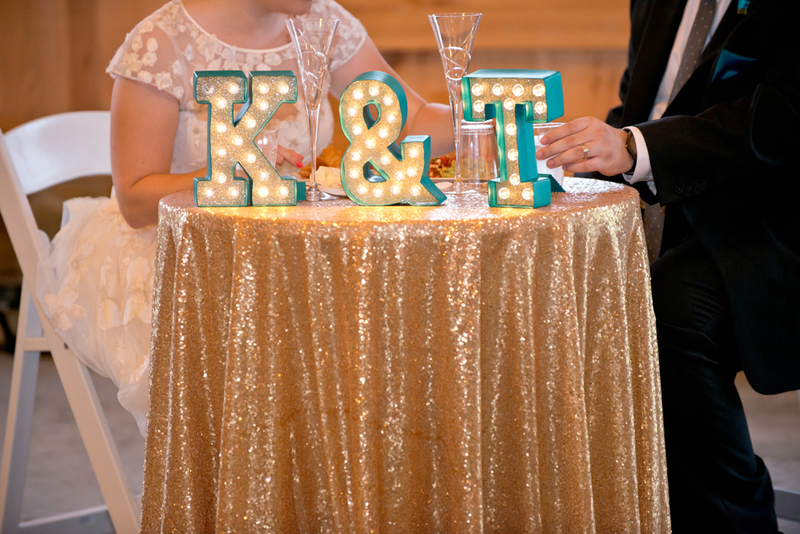 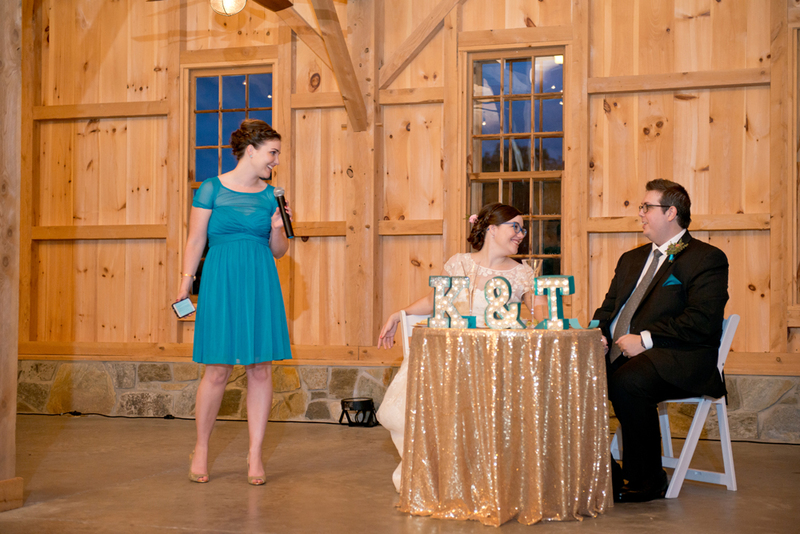 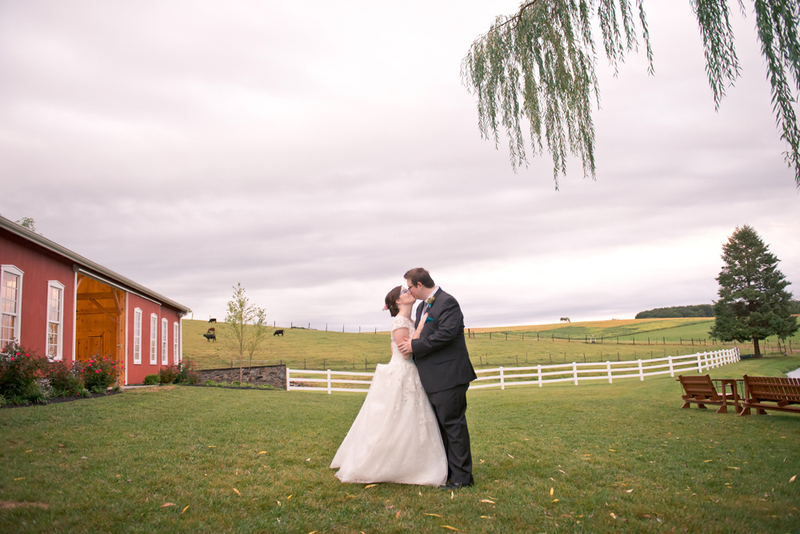 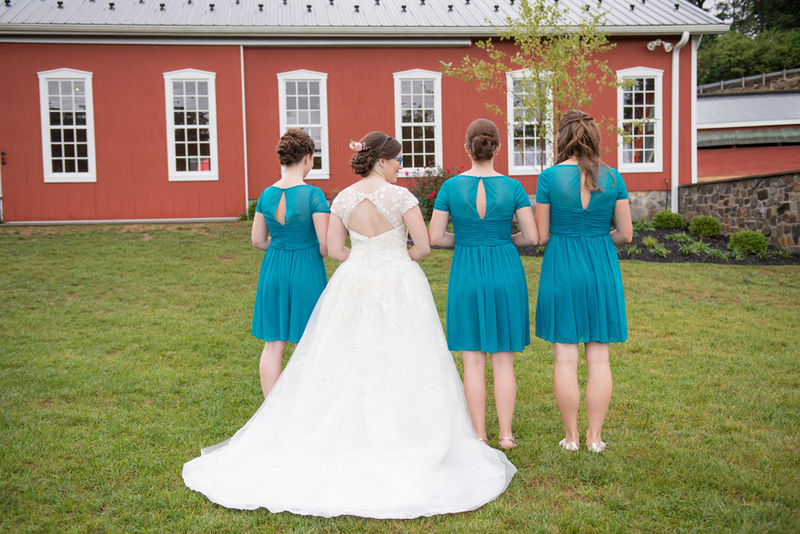 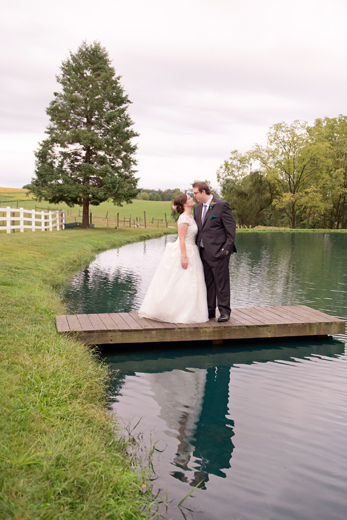 Beautiful Teal, Coral & Gold Barn Wedding :: Rain or Shine (or both!) 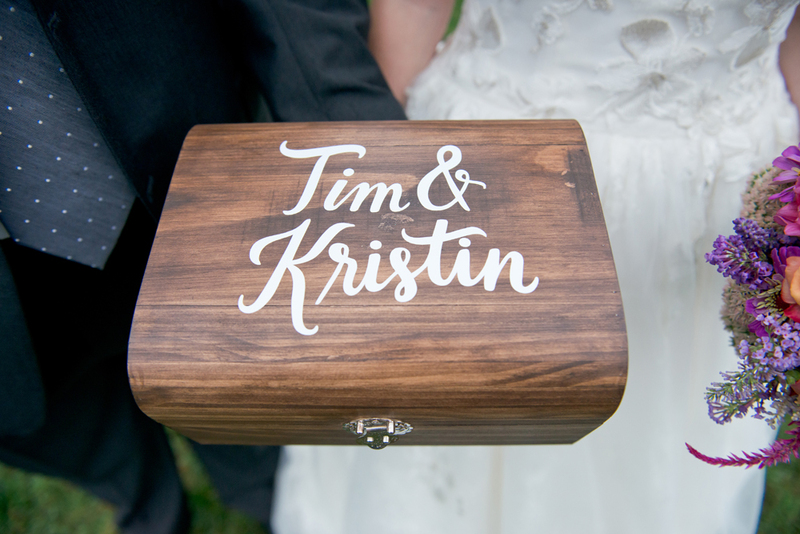 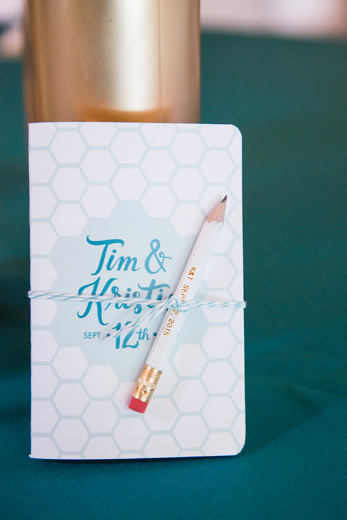 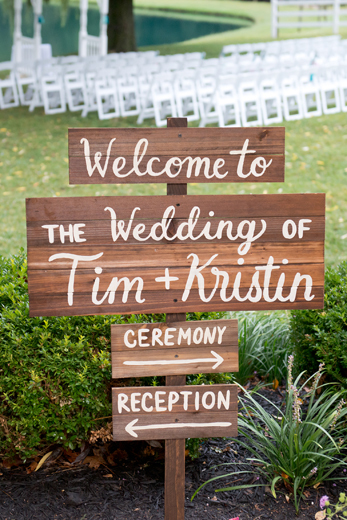 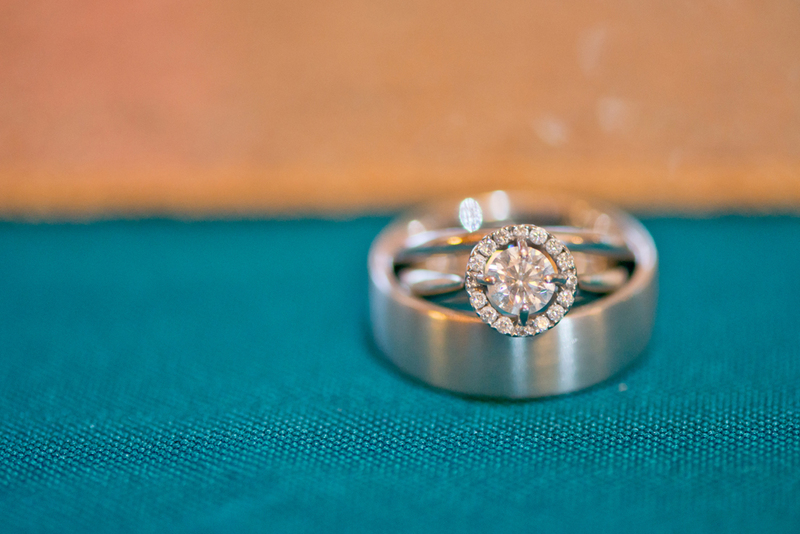 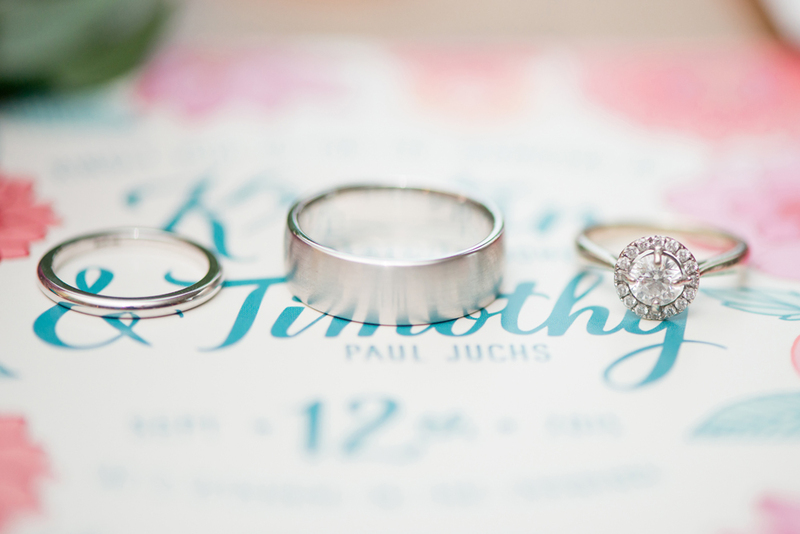 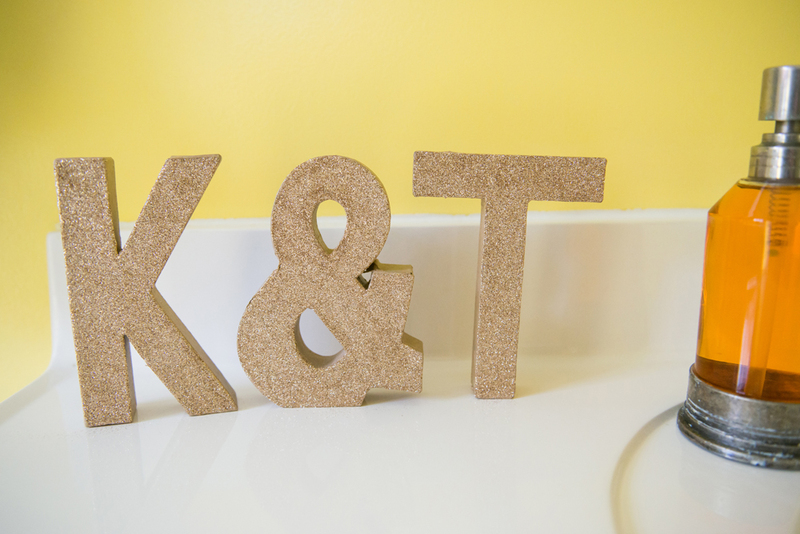 | Kristin & Tim are married! 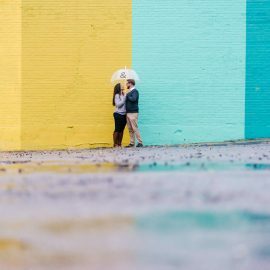 I remember seeing one of the most inspiring rain-on-your-wedding-day-but-beautiful-images-anyway posts a while back: this viral post of incredible wedding photos by S6 Photography. 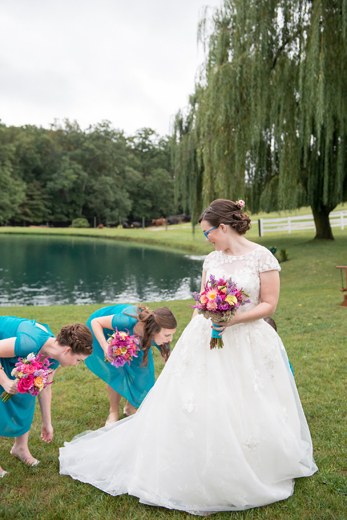 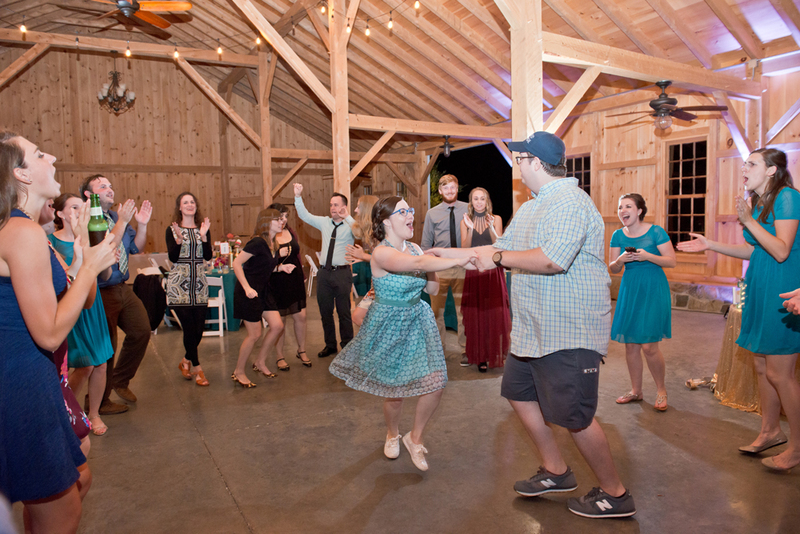 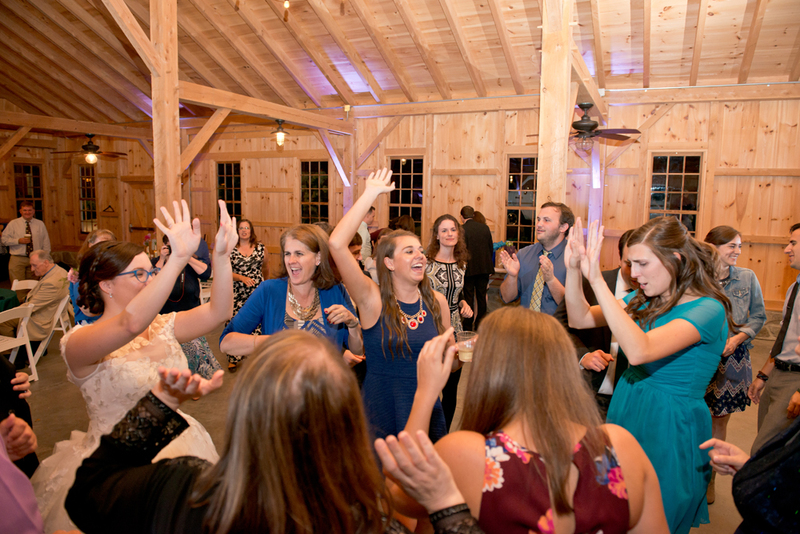 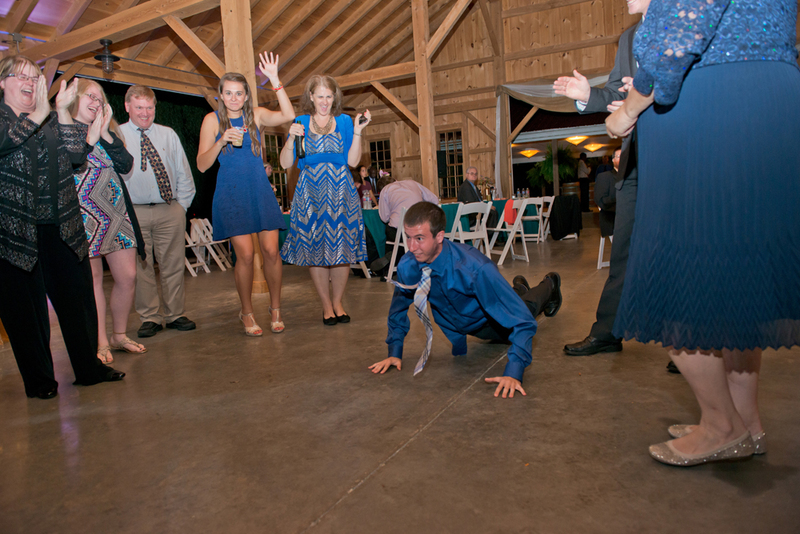 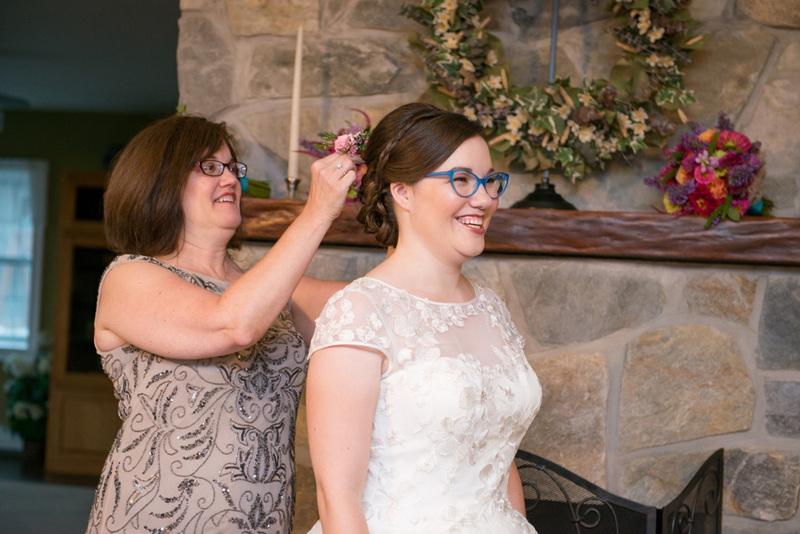 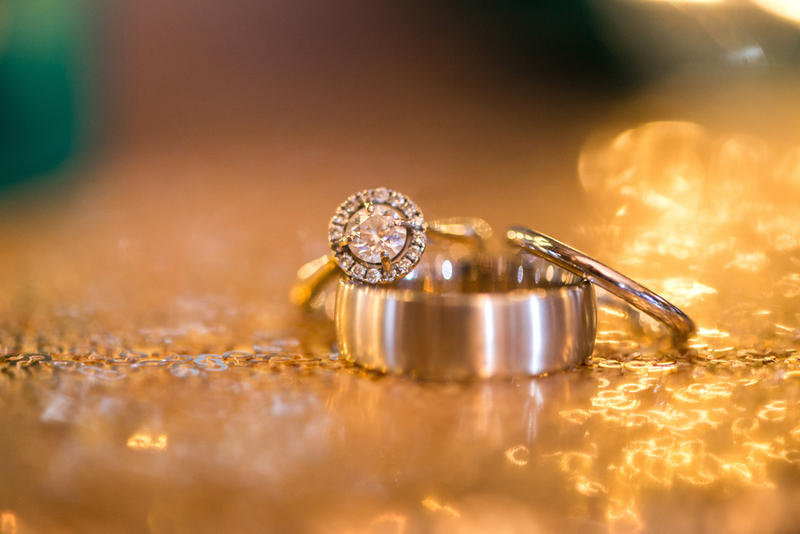 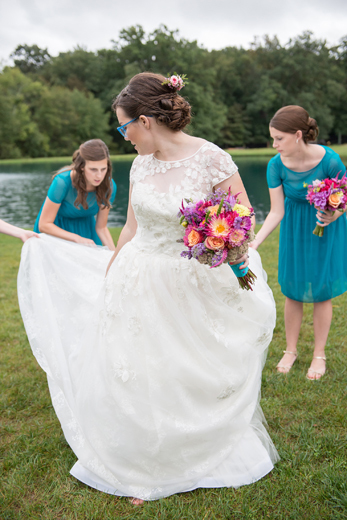 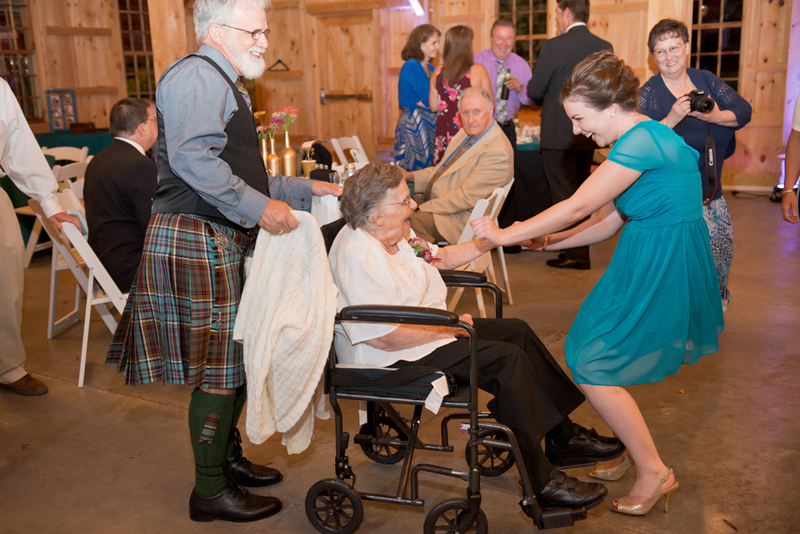 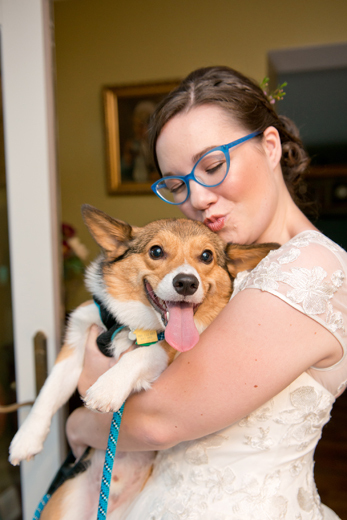 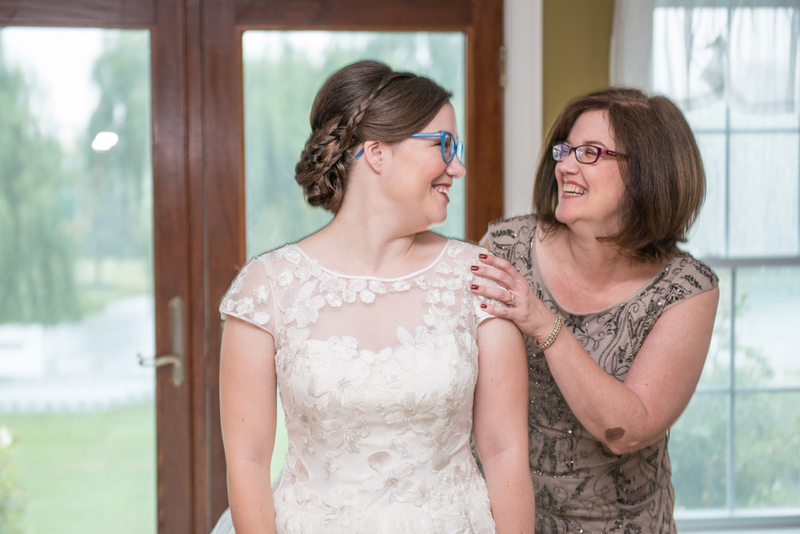 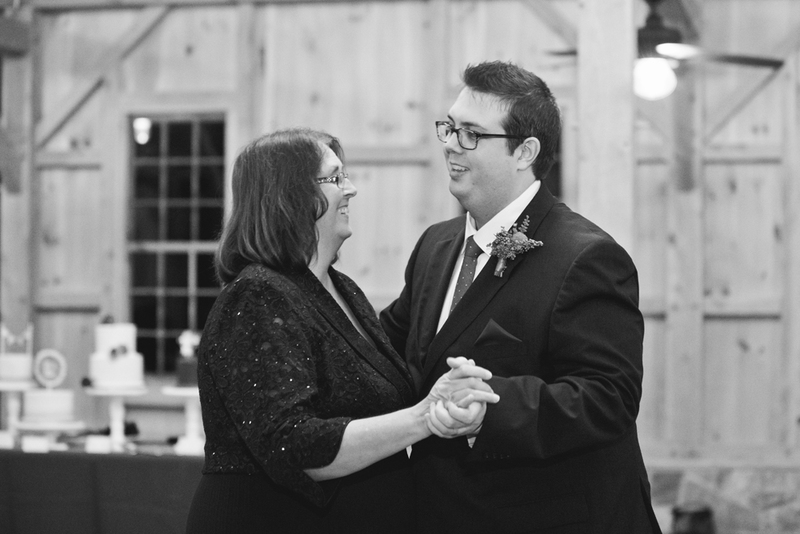 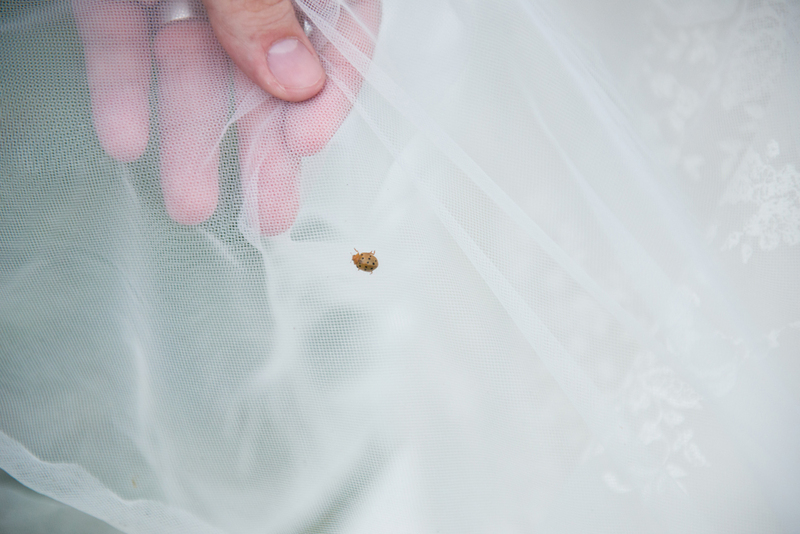 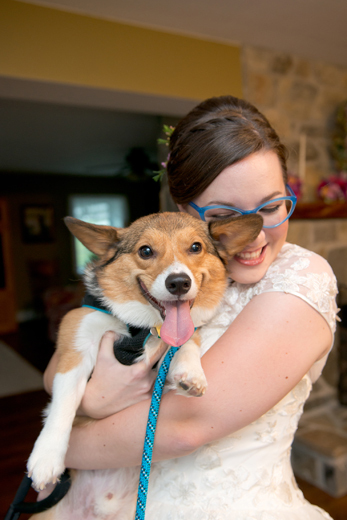 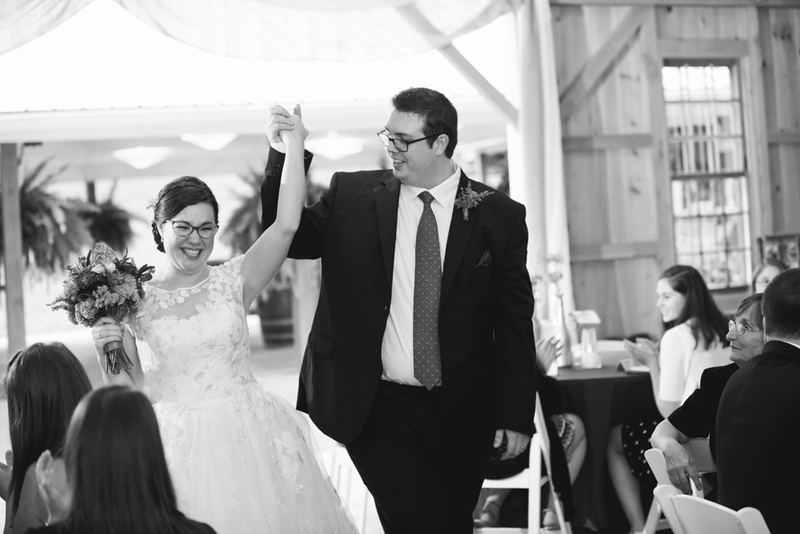 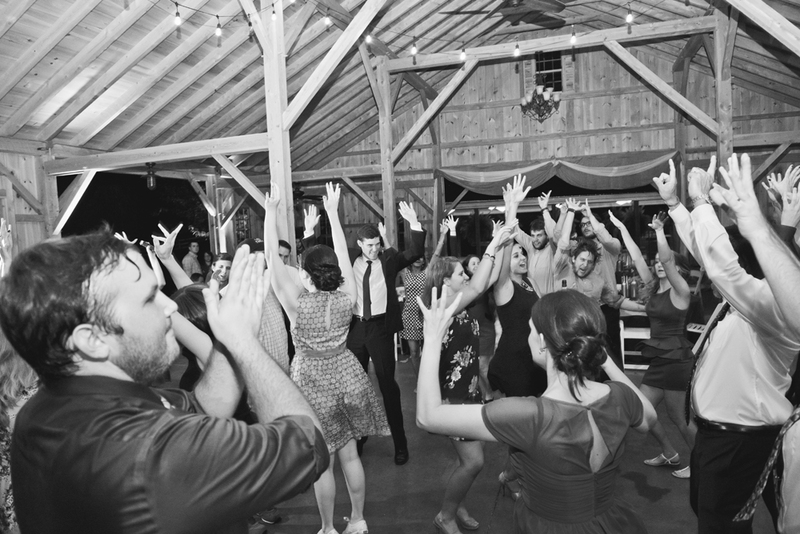 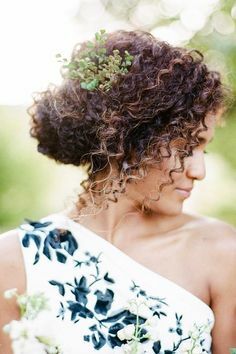 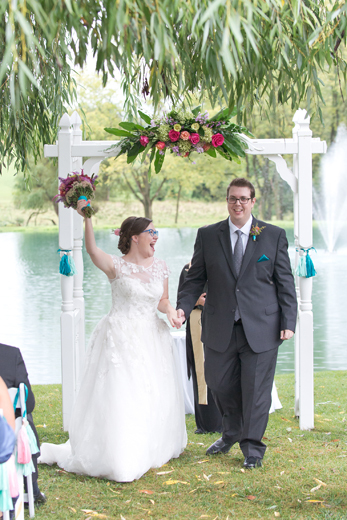 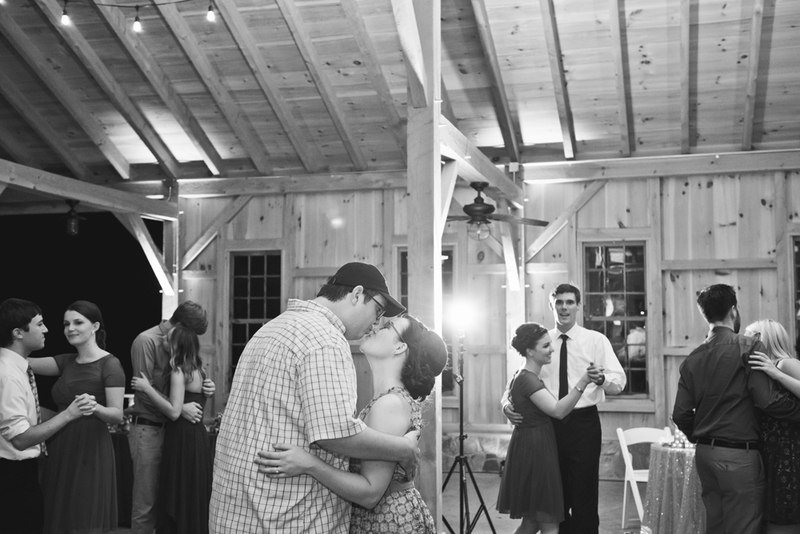 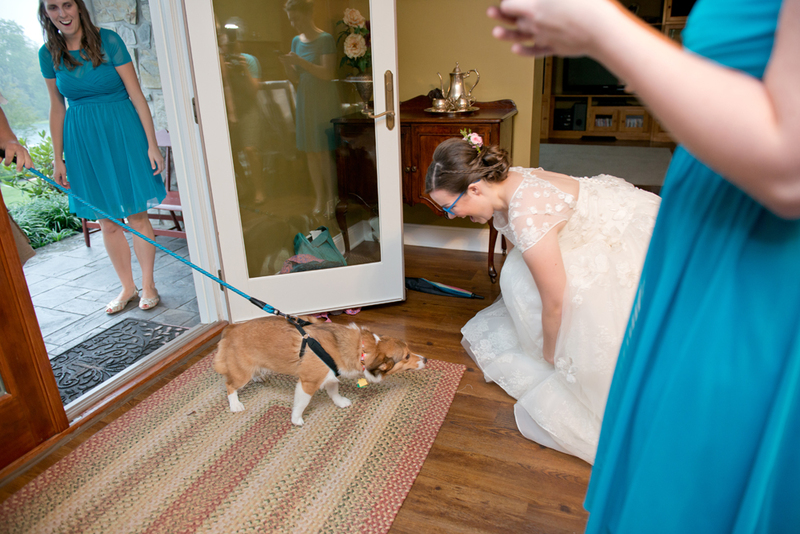 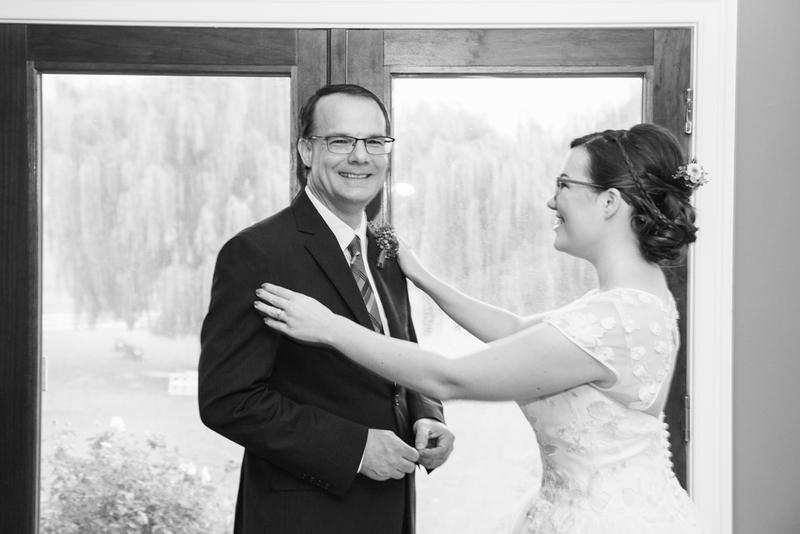 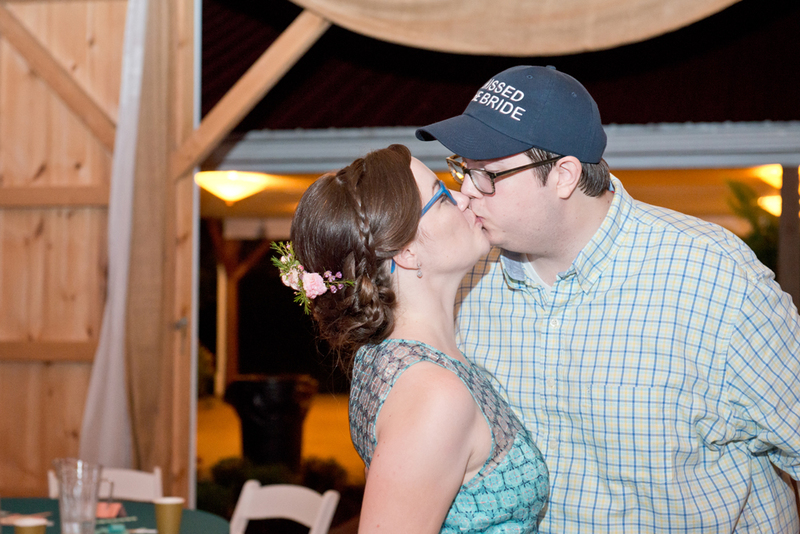 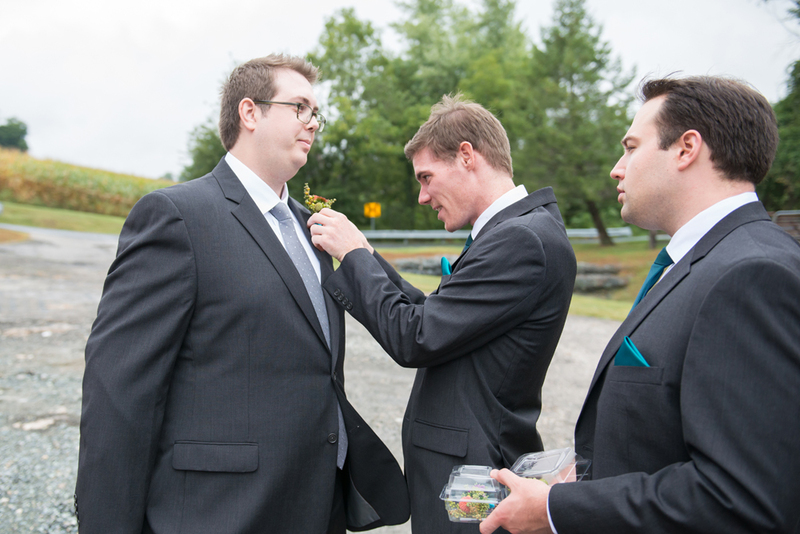 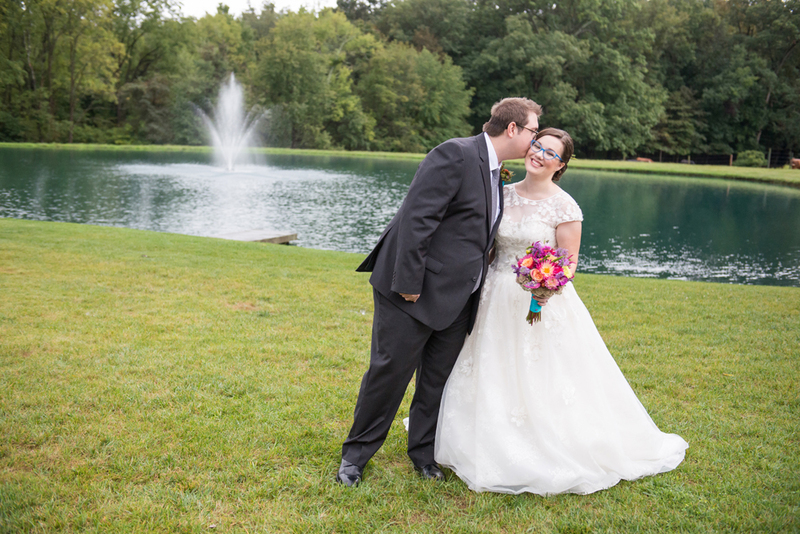 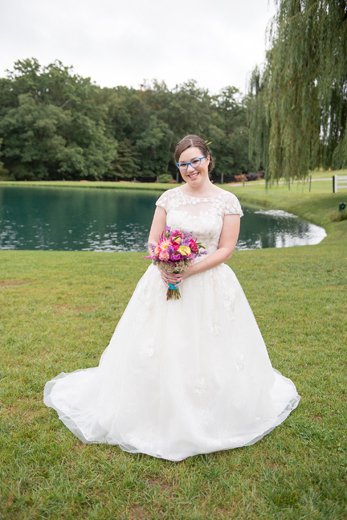 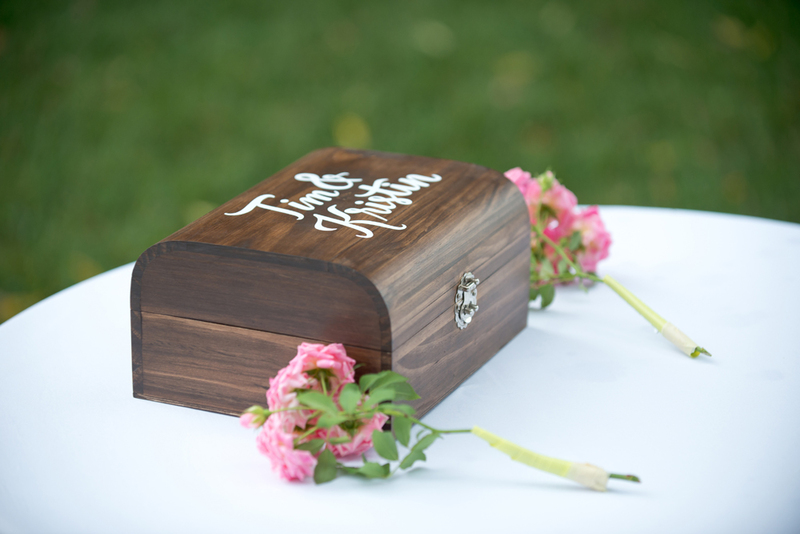 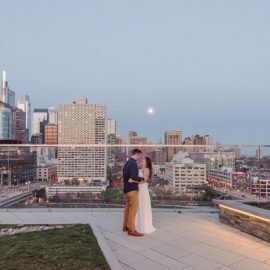 Seriously, if you ever want a reminder that no matter what is thrown at you on your wedding day, you can still have amazing memories and photos too, this is it! 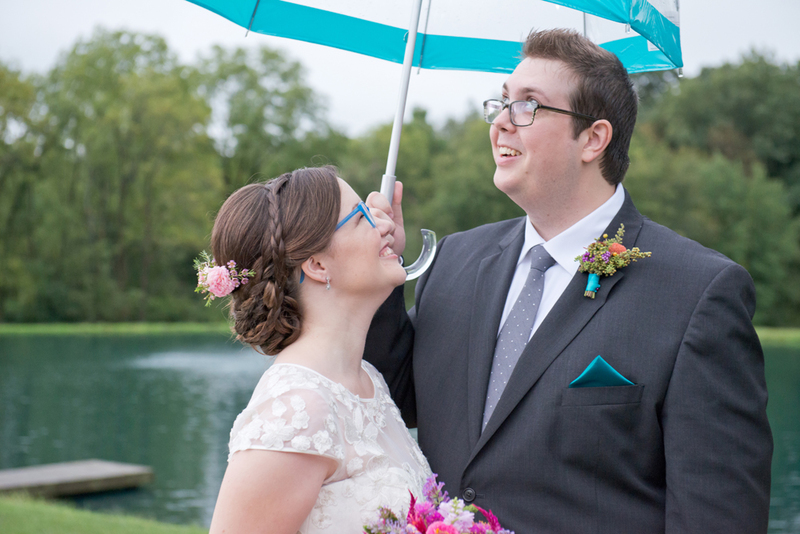 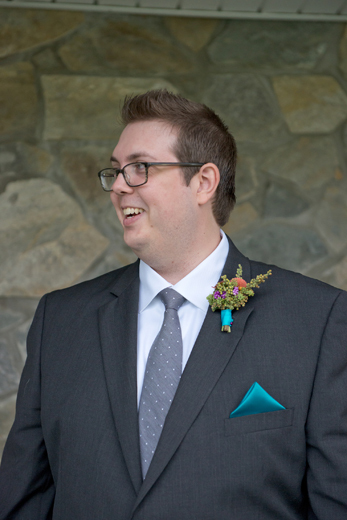 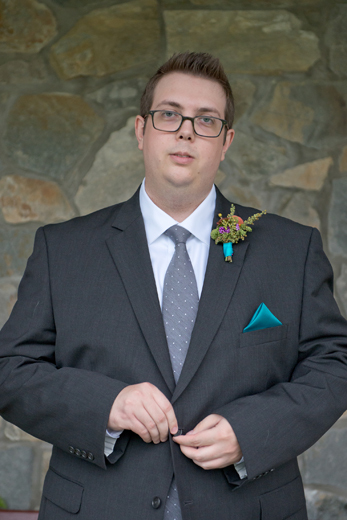 S6's Jon says "People make the wedding" (not the weather or anything else) and I couldn't agree more. 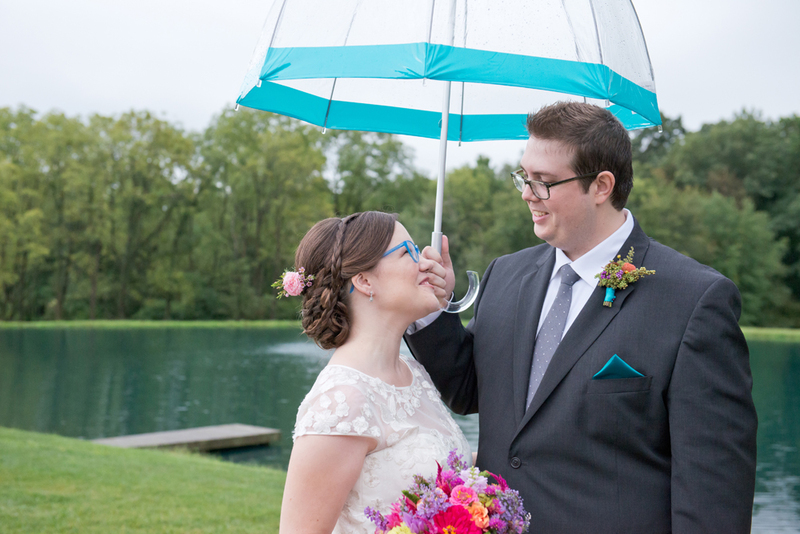 So while Kristin & Tim were lucky to not get caught in such a bad storm, we were all scoping out the radar and forecast to see how the down pouring rain was really going to play out. 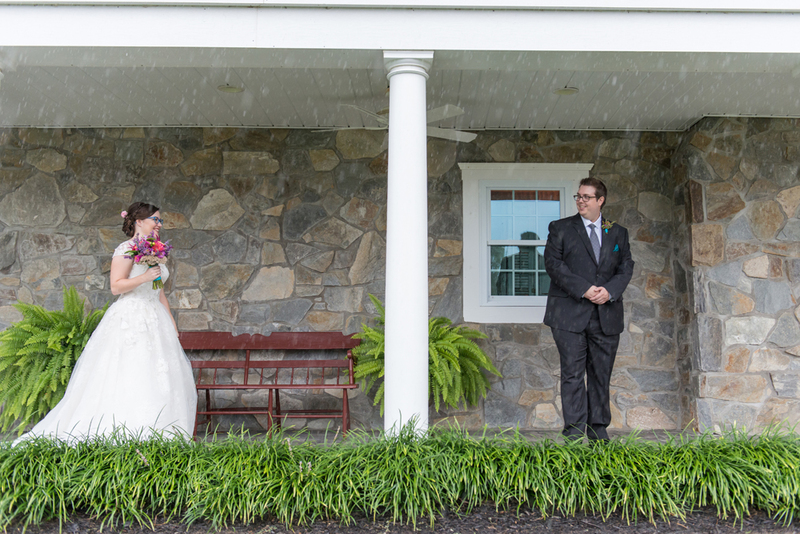 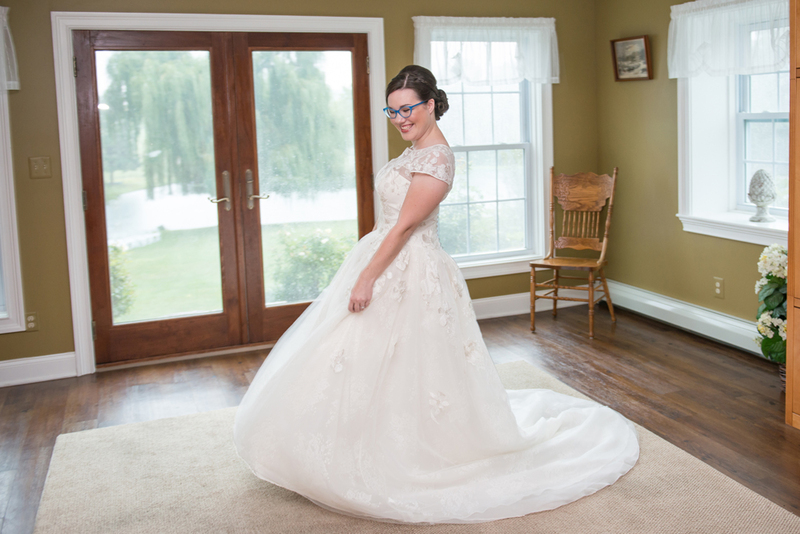 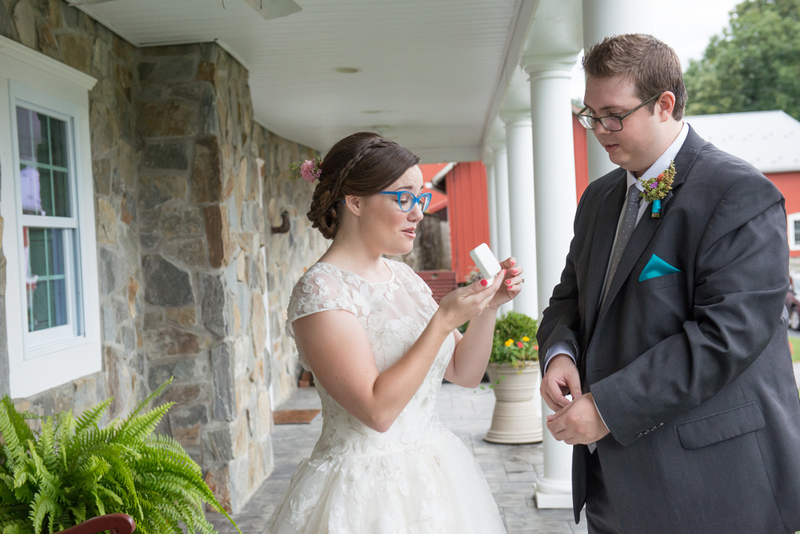 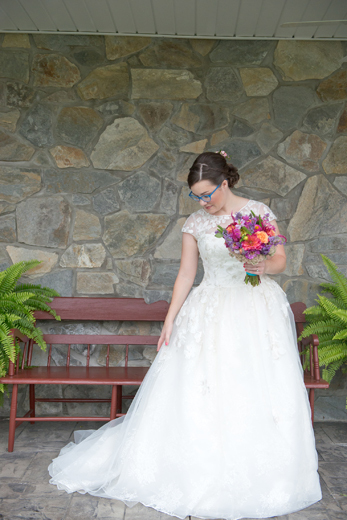 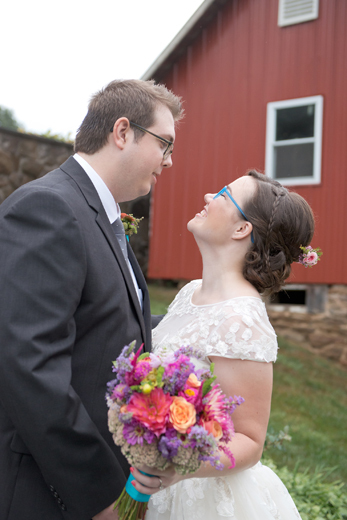 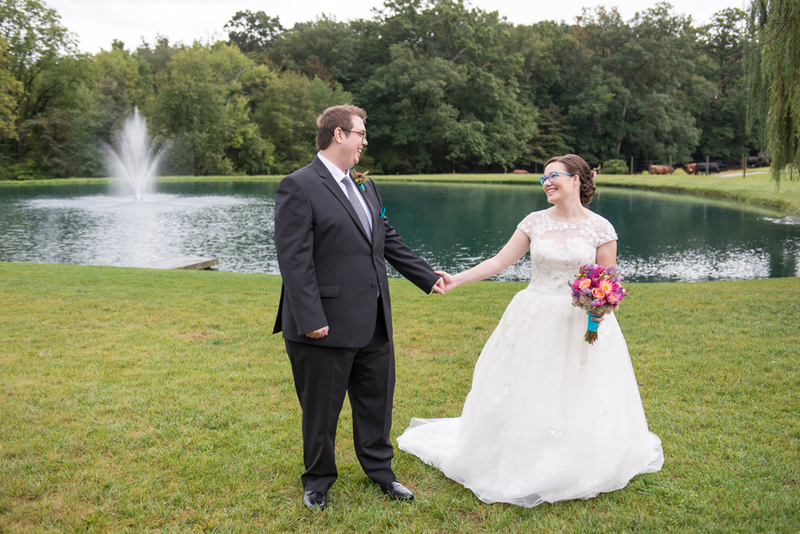 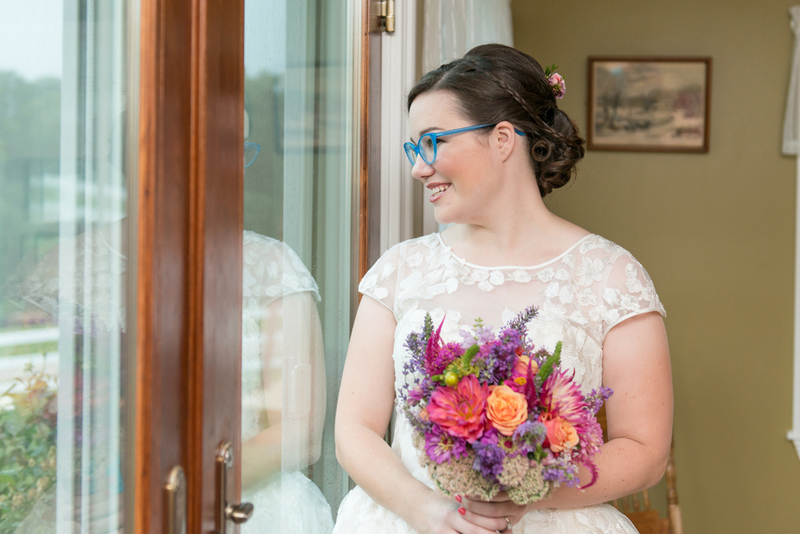 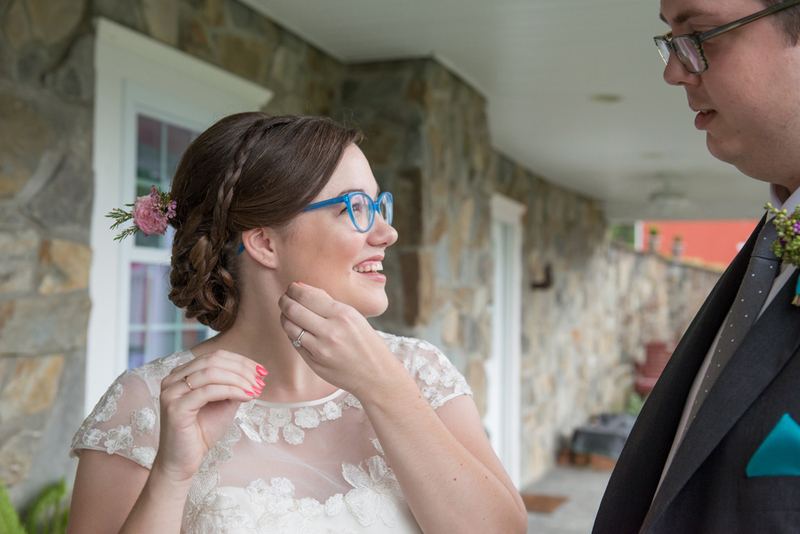 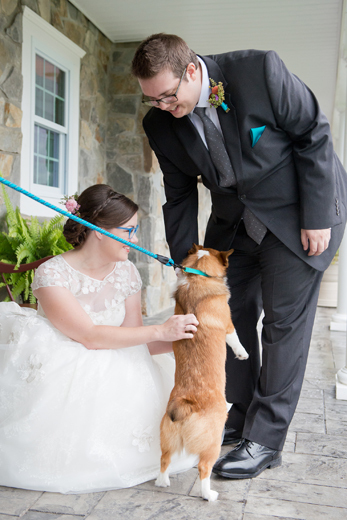 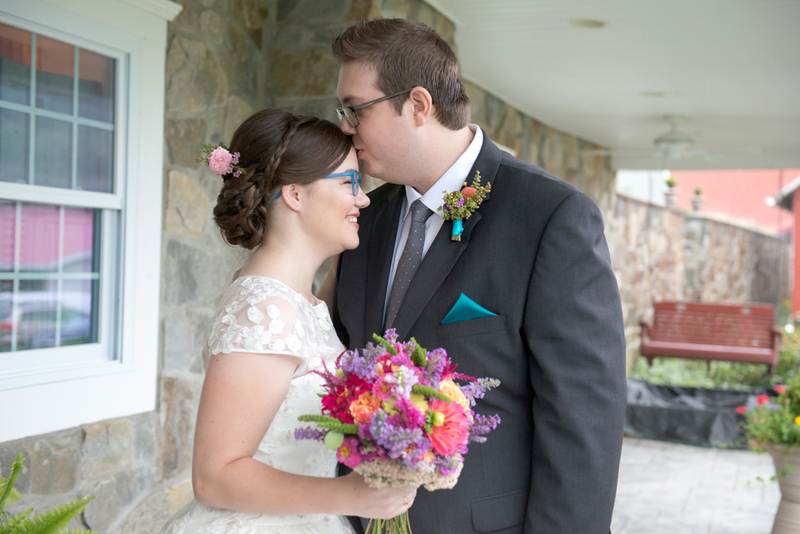 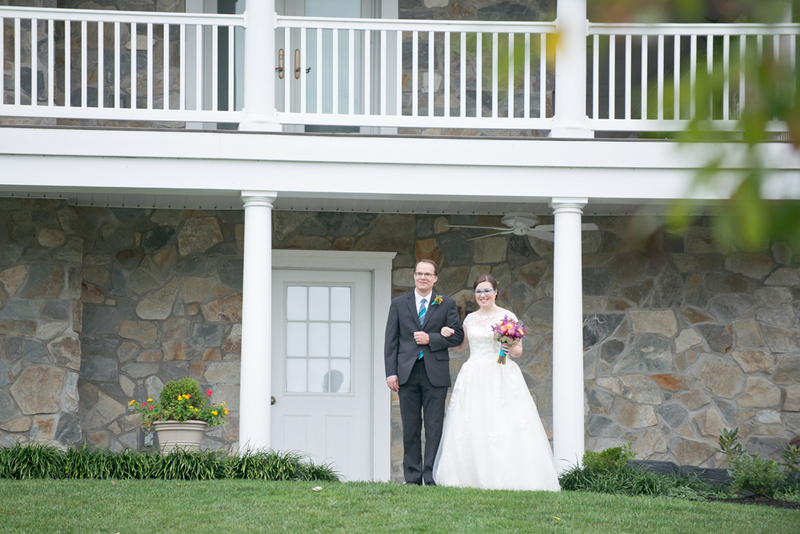 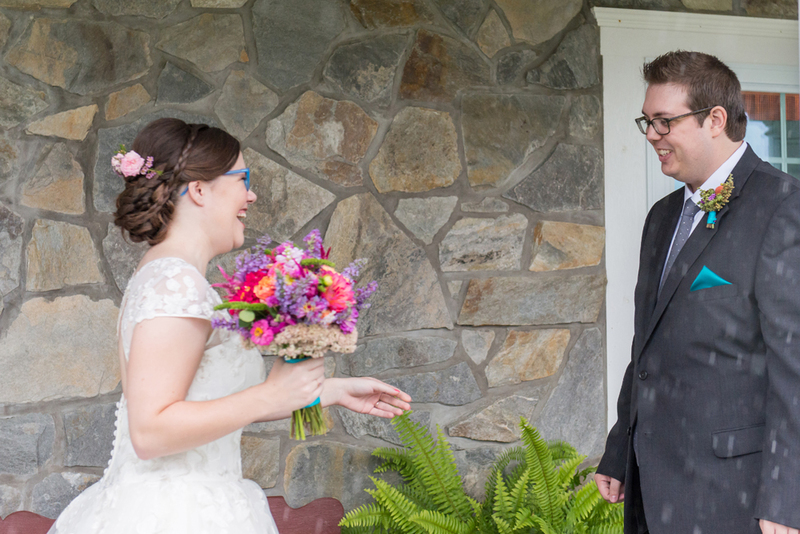 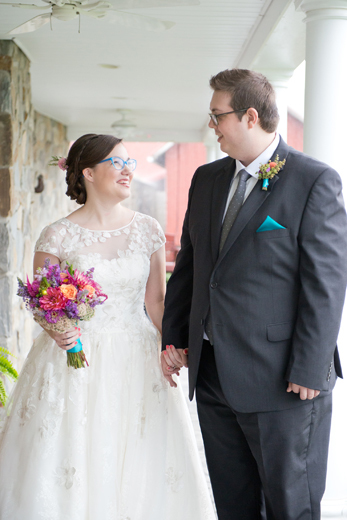 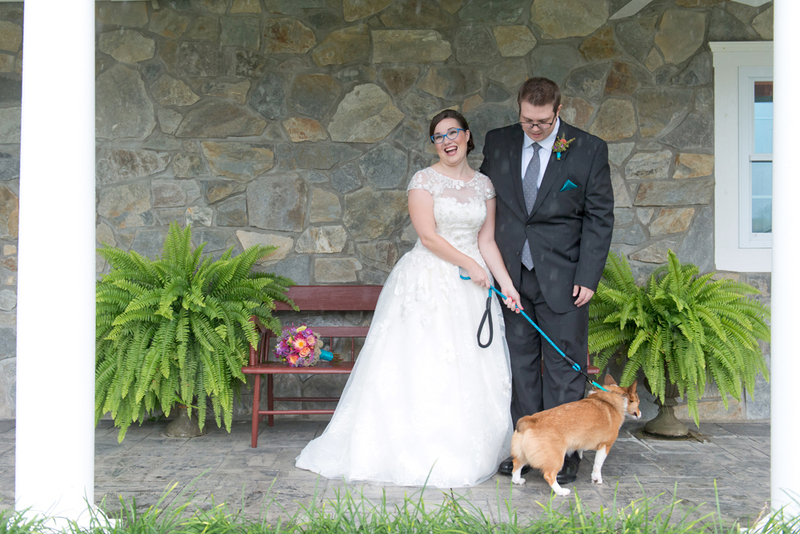 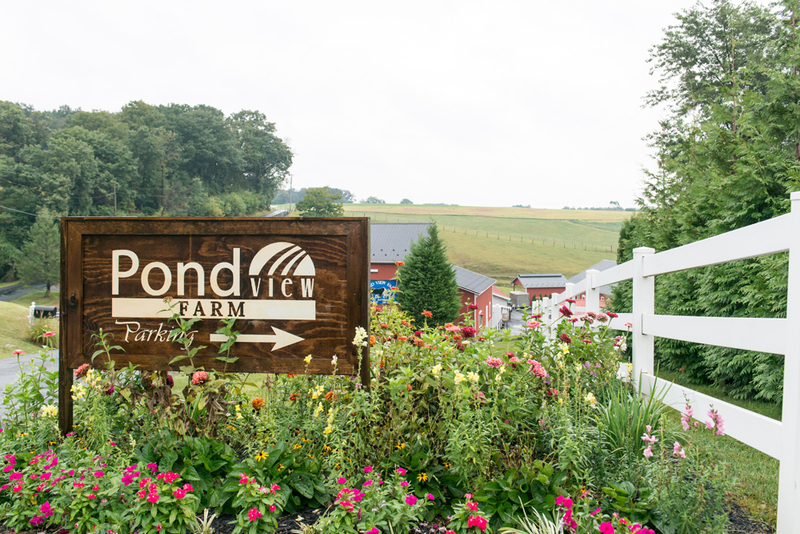 We decided to do their first look under the pretty porch at Pond View Farm (thank you rain-gear/camera cover, rain boots, and clear umbrellas! 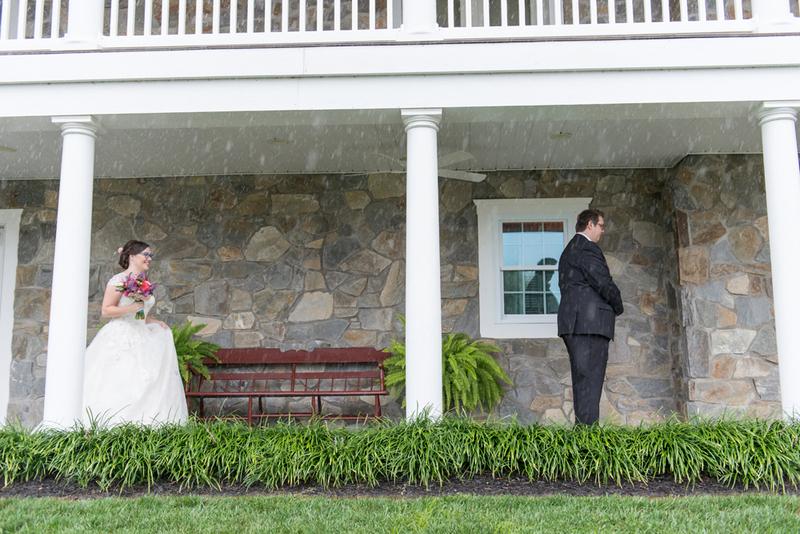 ), but the best part of all was that just minutes before needing to make the final call on whether to move the outdoor ceremony inside... the rain stopped!! 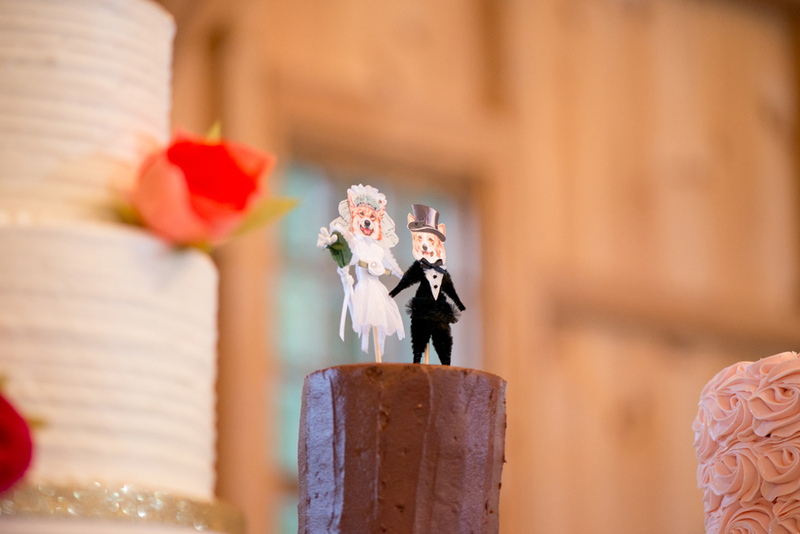 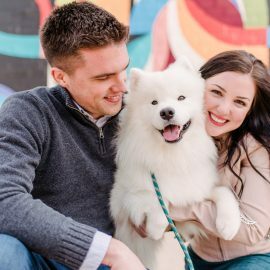 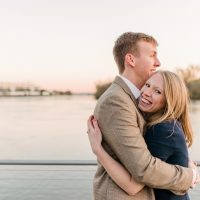 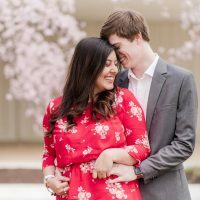 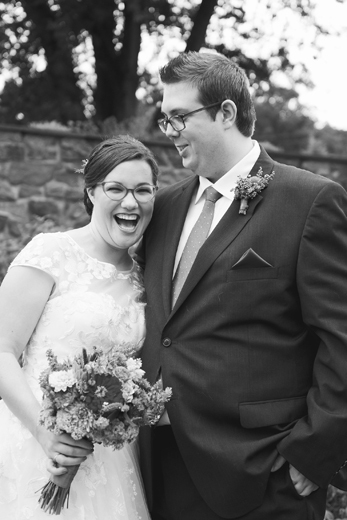 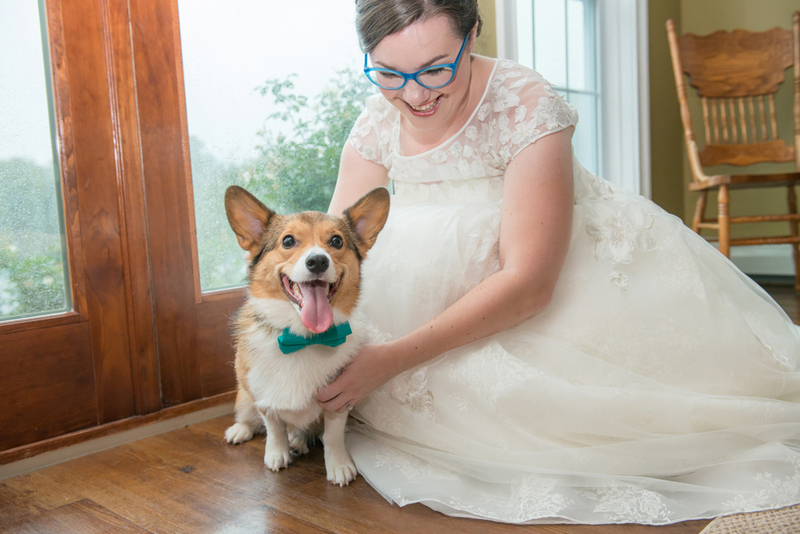 I could go on and on about these two, and how sweet they are and how much fun their entire day was (but I'll let the photos speak for themselves from here on out!). 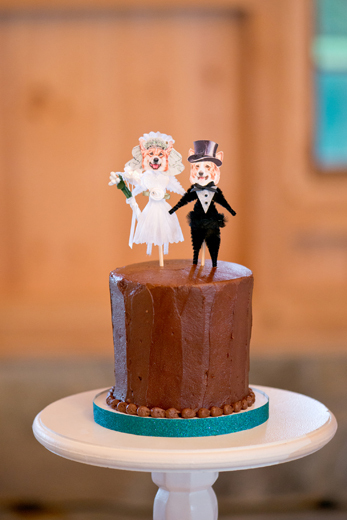 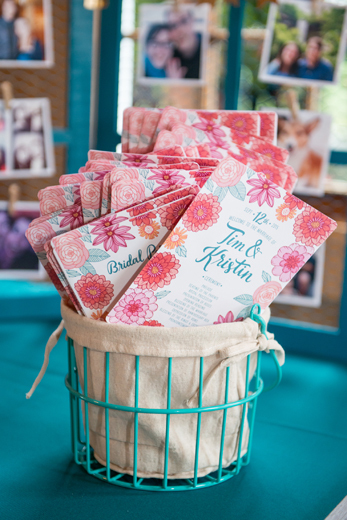 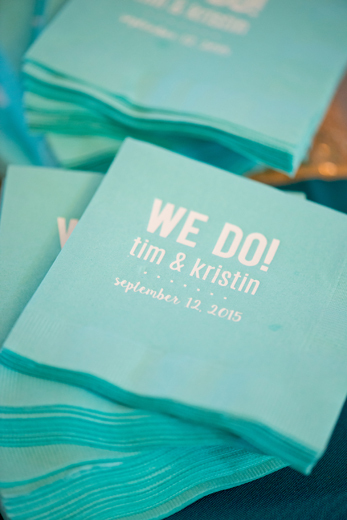 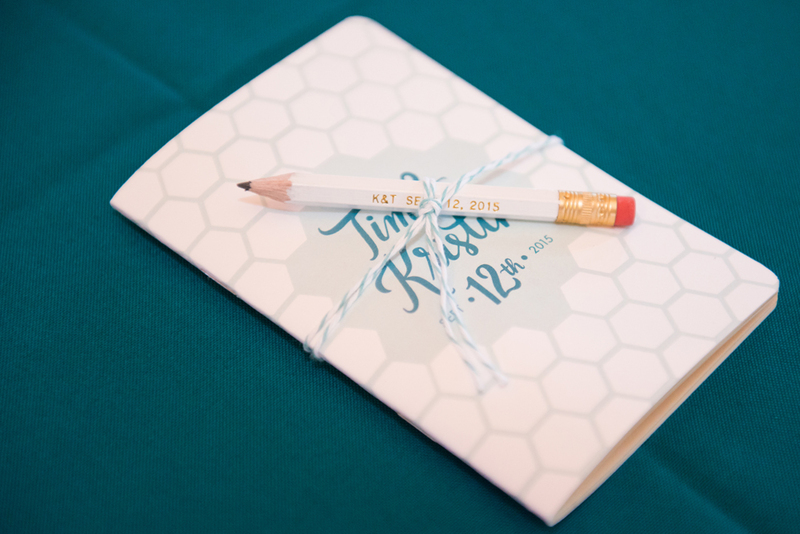 I'm so grateful to have been a part of it all and so happy to say yet again: Congratulations Kristin & Tim!! 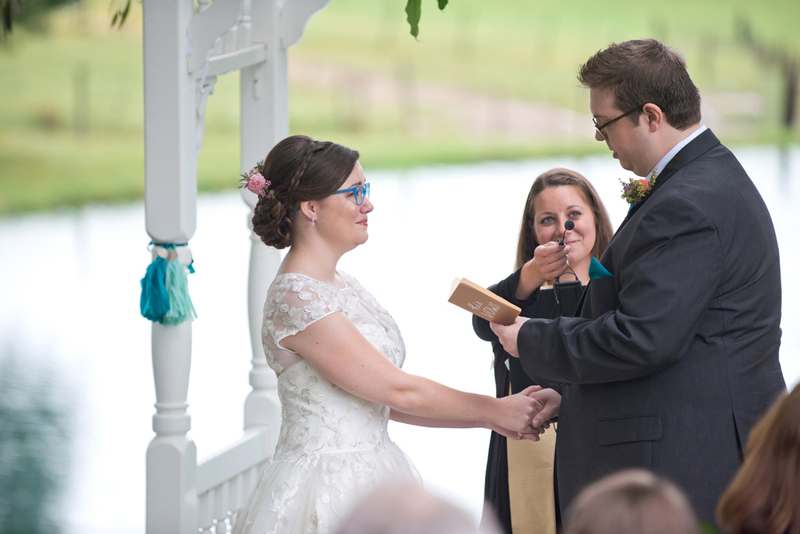 Yeah, there were no dry eyes. 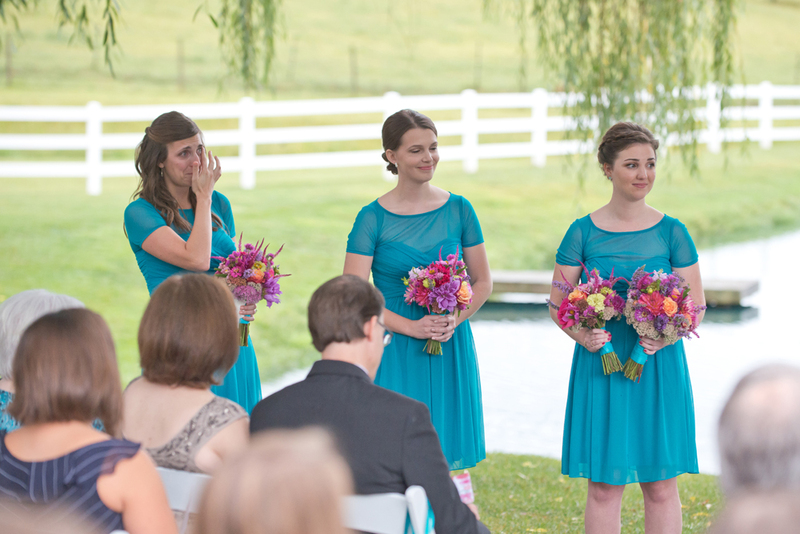 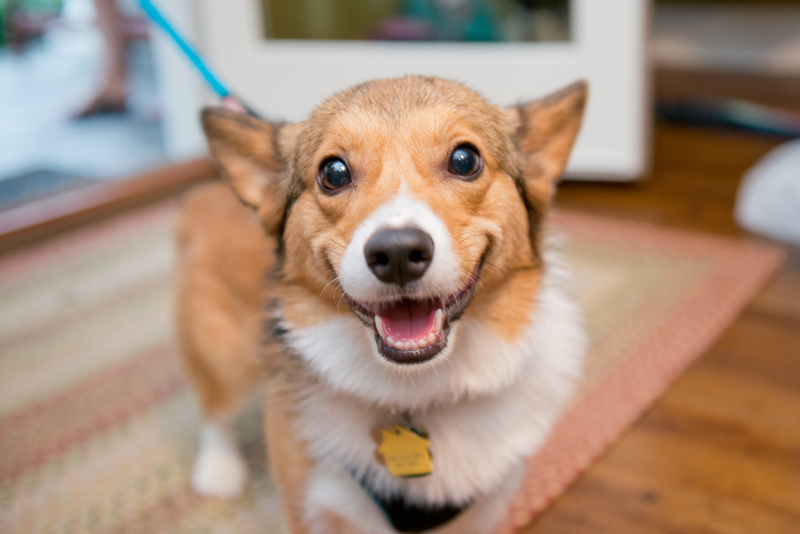 I was tearing up too! 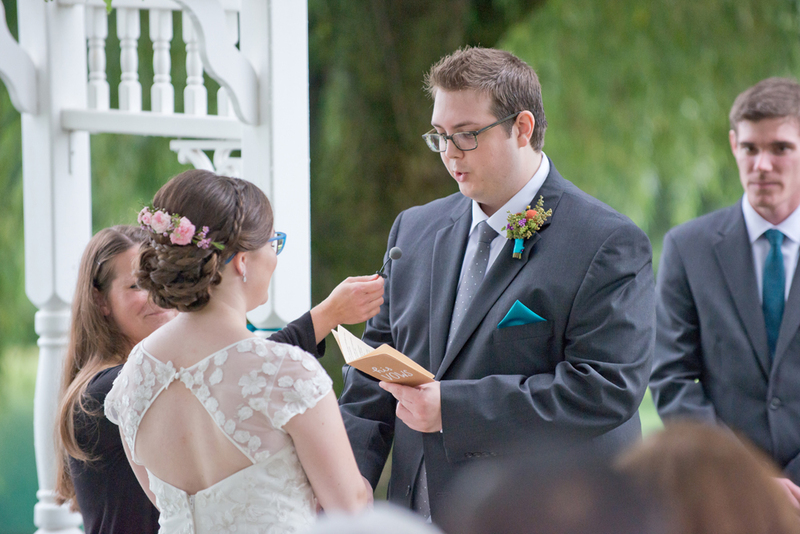 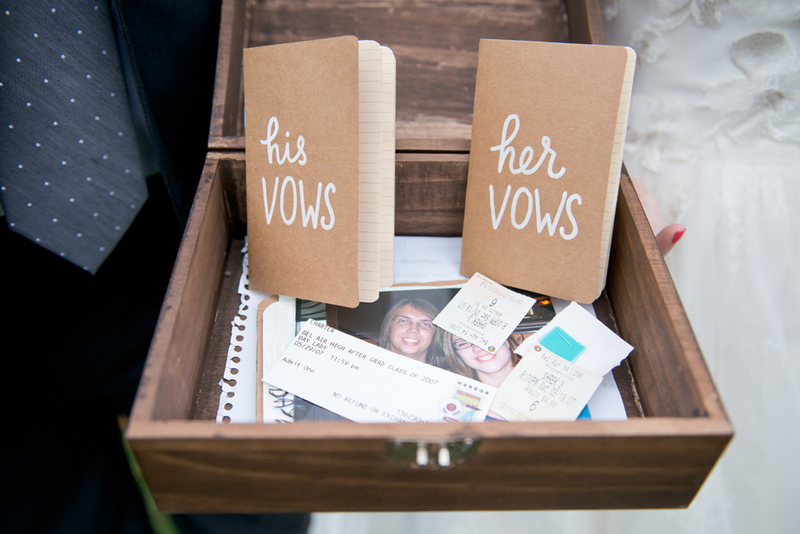 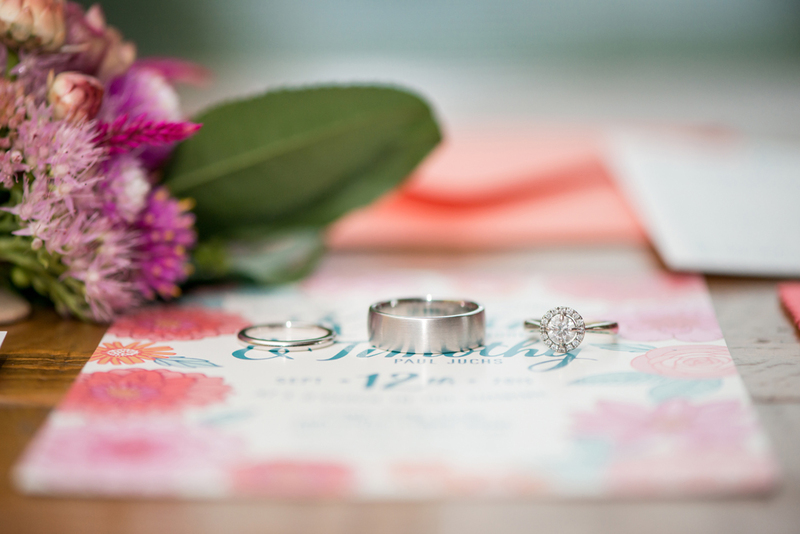 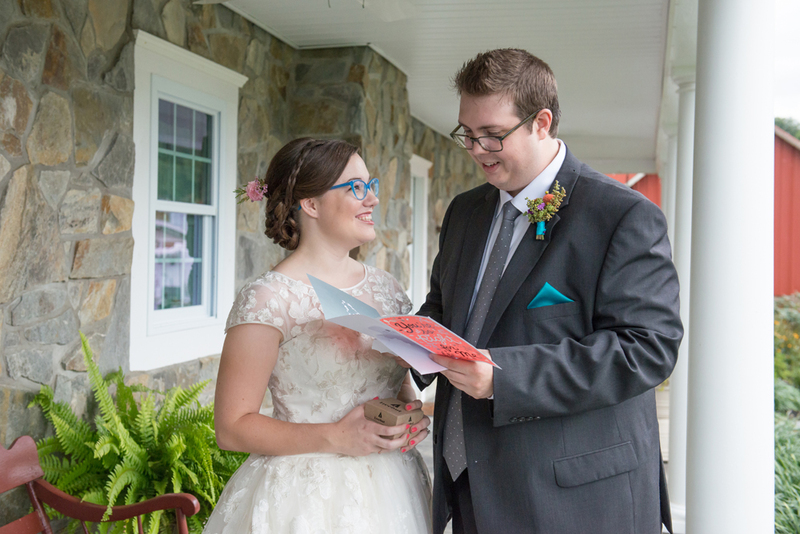 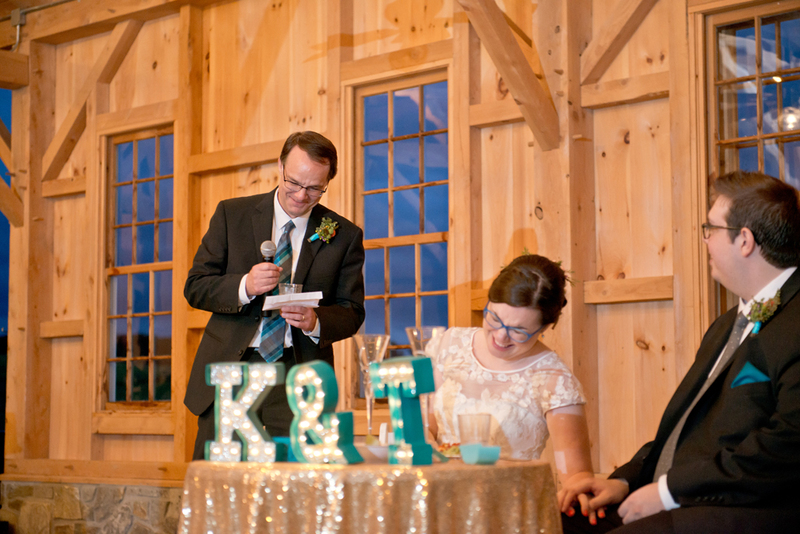 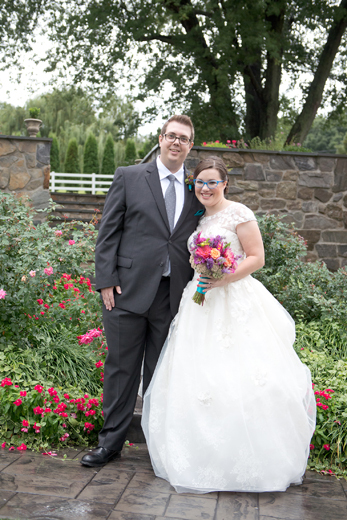 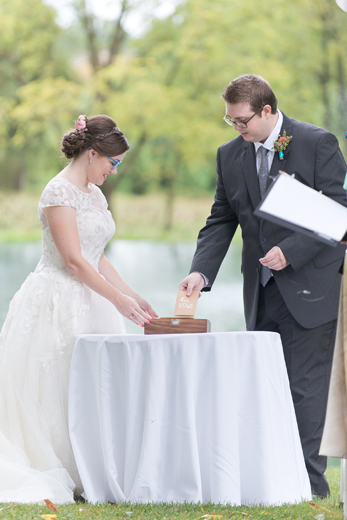 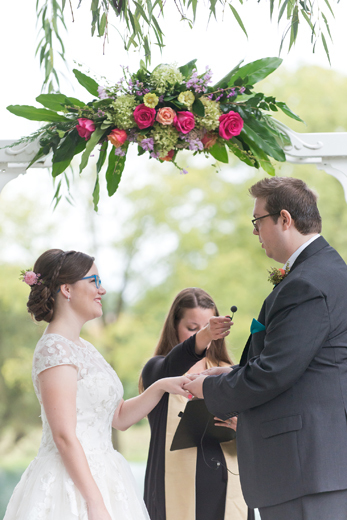 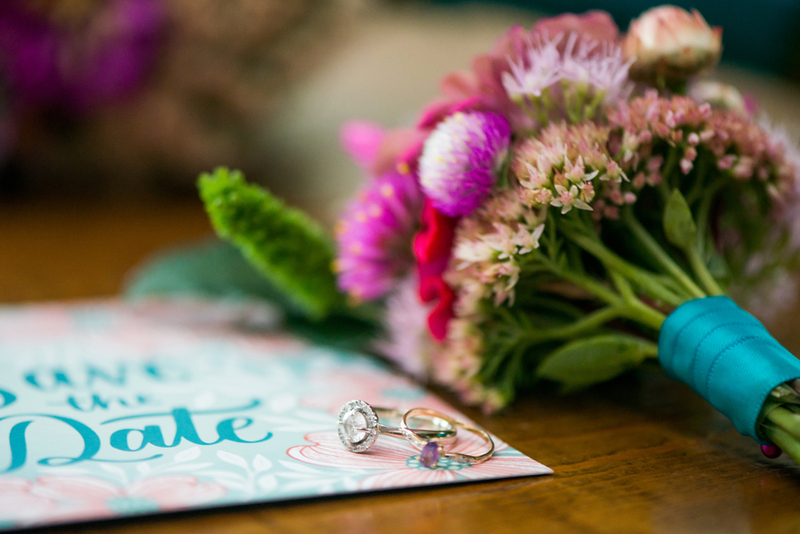 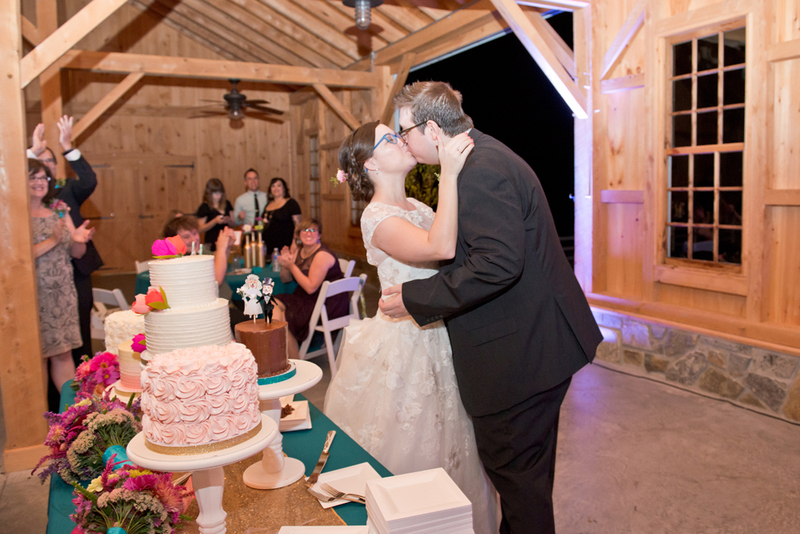 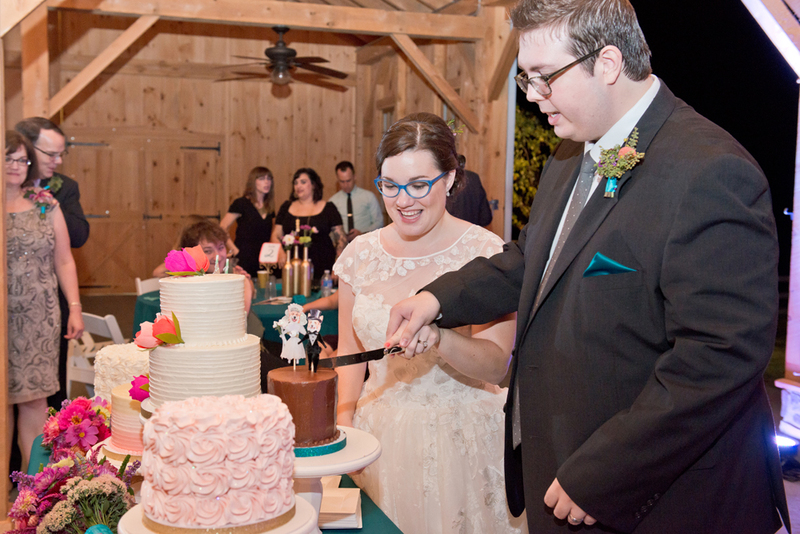 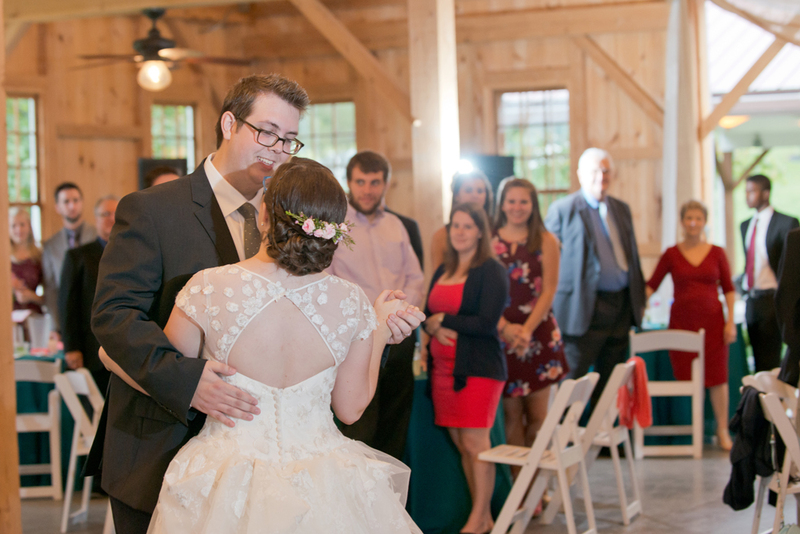 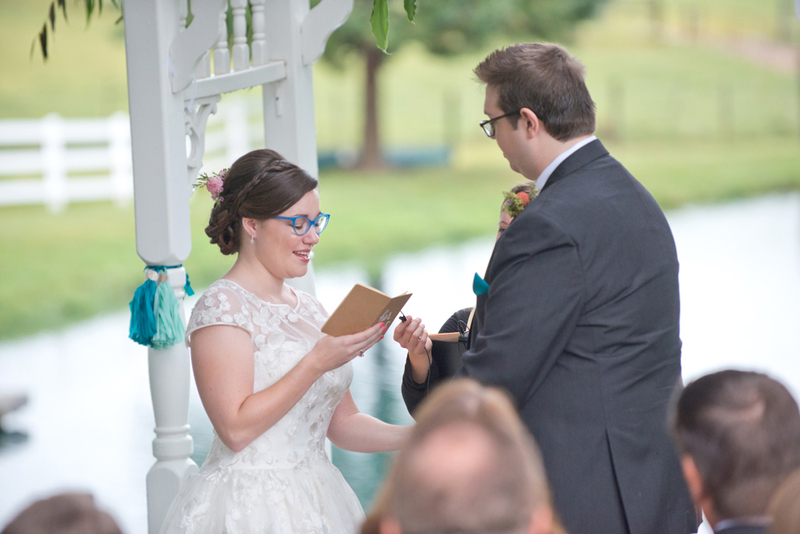 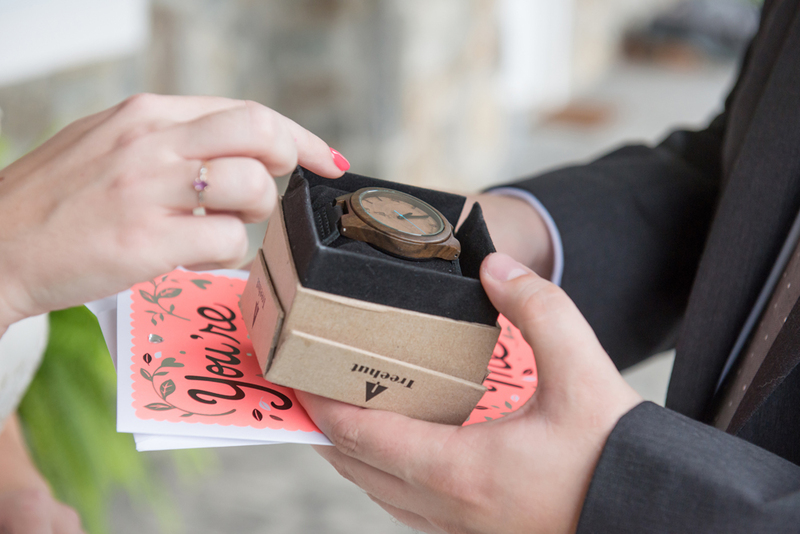 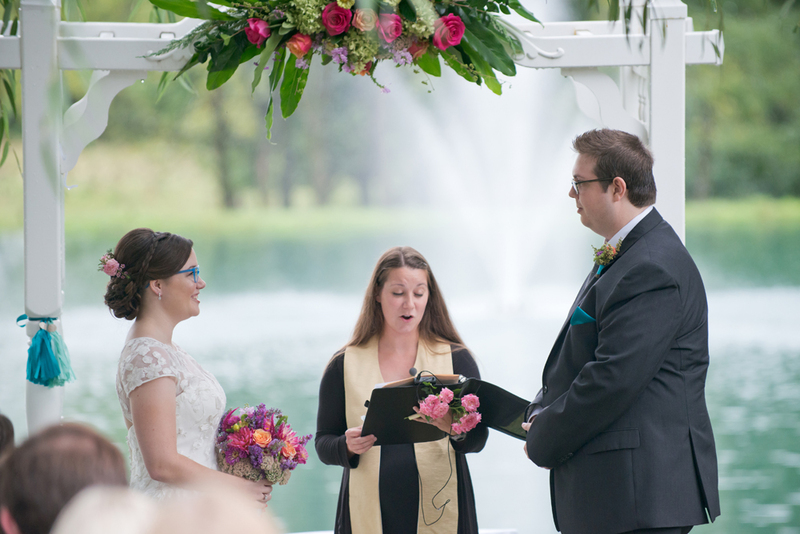 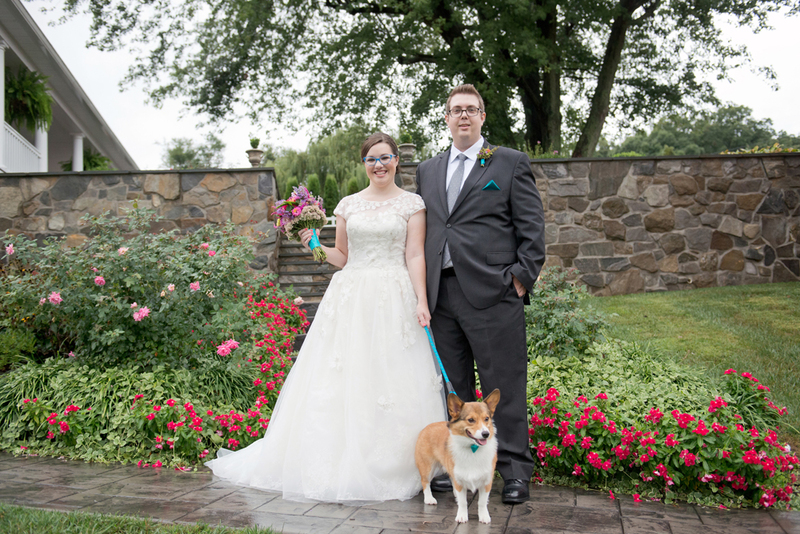 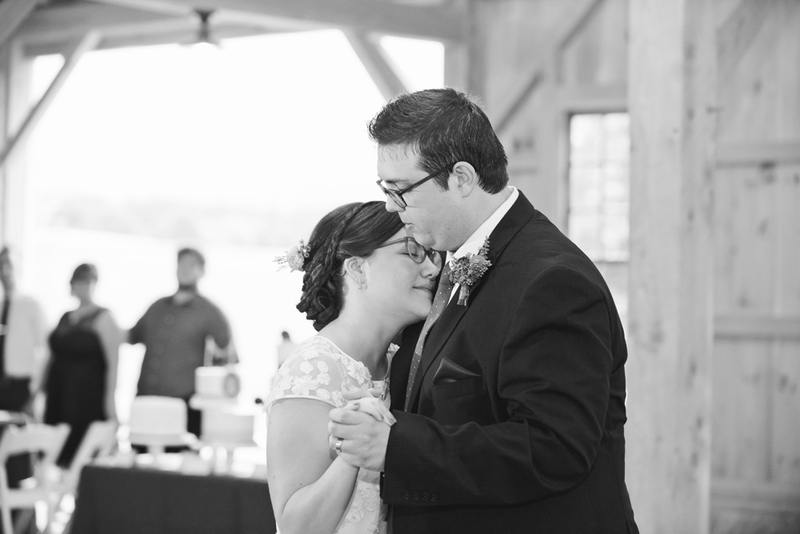 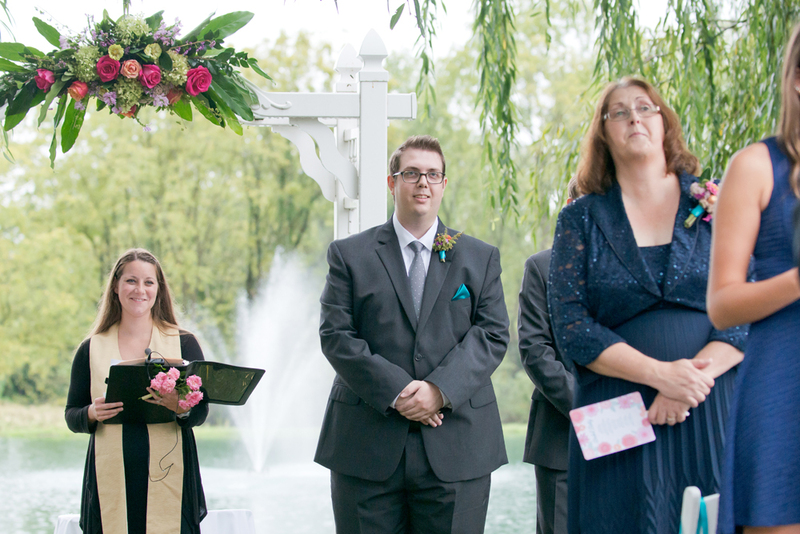 They wrote the sweetest vows to each other!